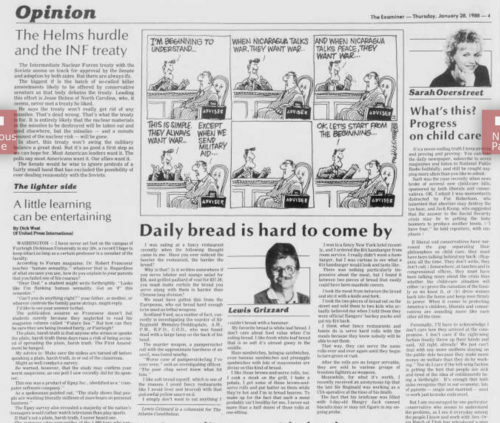 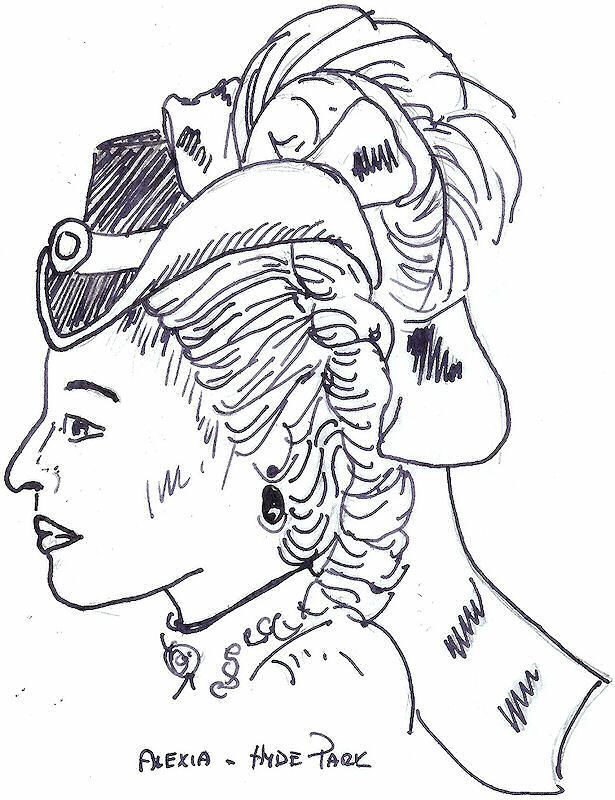 Gentle Reader, this is a repost of an original article done ten years ago for My Book the Movie website. 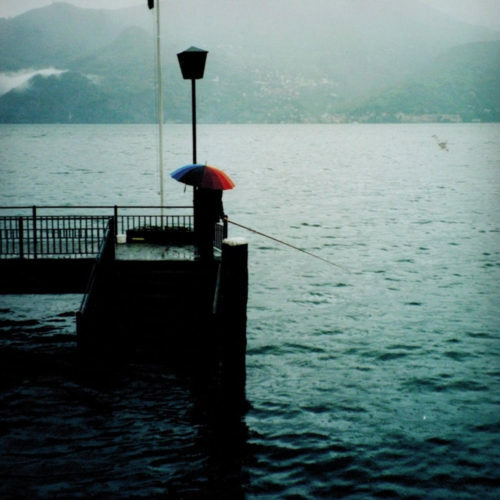 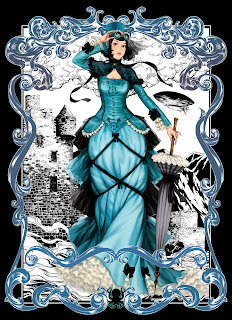 Consequently, some of my choices may no longer really work, but it’s my fantasy and I am sticking to it! 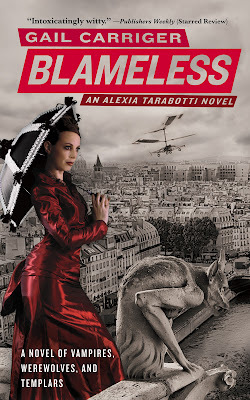 Alexia Tarabotti, London’s only preternatural, is an Italian-looking spinster with no soul, a big mouth and, quite frankly, even bigger nose. 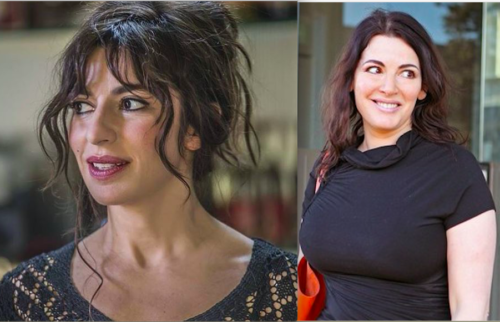 Visually, I modeled her off of Italian actress Sabrina Impacciatore mixed with celebrity chef Nigella Lawson. 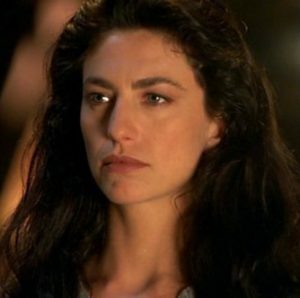 Perhaps Claudia Black might be better suited to running around whacking obstreperous vampires willy-nilly with a parasol, but that girl’s gotta eat about ten cream teas first, then we’ll talk. 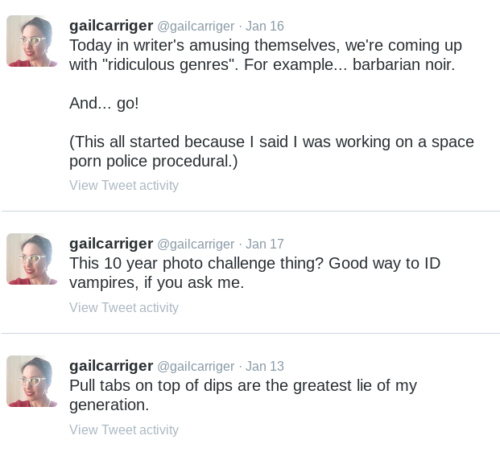 I also really love Gina Bellman of Leverage fame. 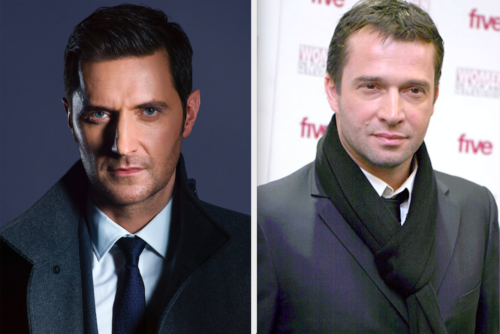 For our hero, an oversized scruffy Scottish werewolf, I’m going to deviate from the expected (Gerard Butler) and pick James Purefoy. 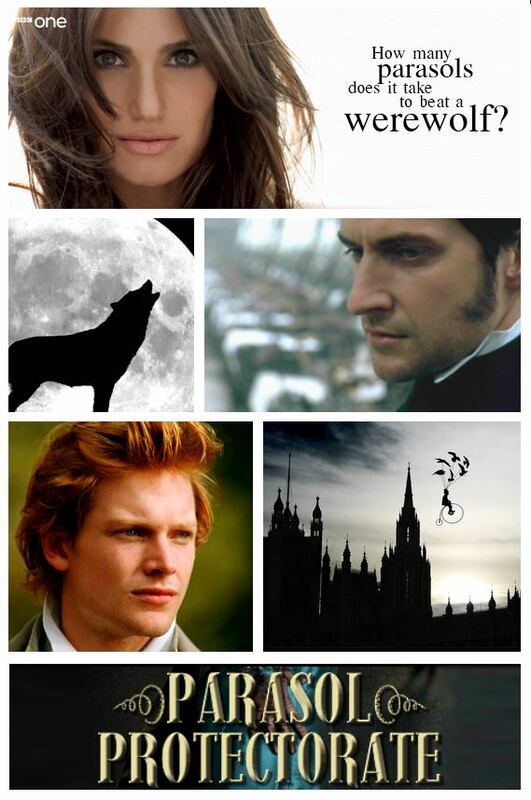 or Richard Armitage. 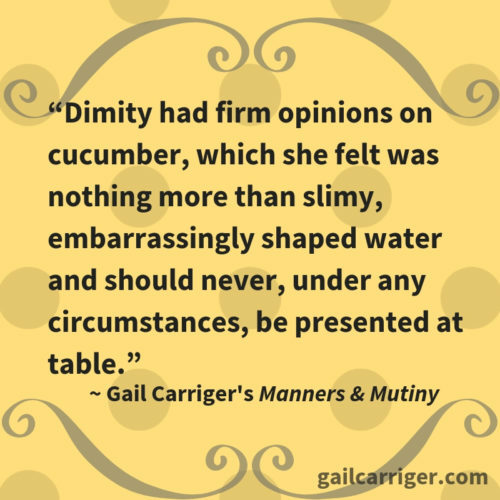 All are big guys who manage to emit a general air of clumsy confusion combined with slightly too wide smiles that look as though they might, just possibly, tear out your throat if they could just remember what that other thing was they wanted to do first. 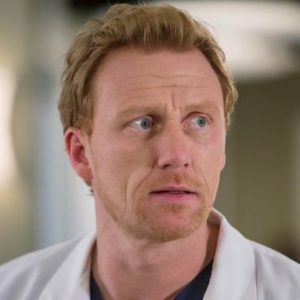 For Professor Lyall, Lord Maccon’s long-suffering beta, I’m choosing Kevin McKidd of Rome fame. 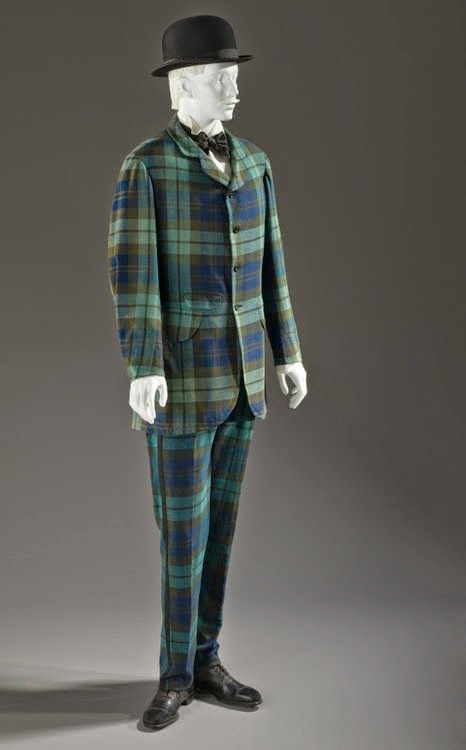 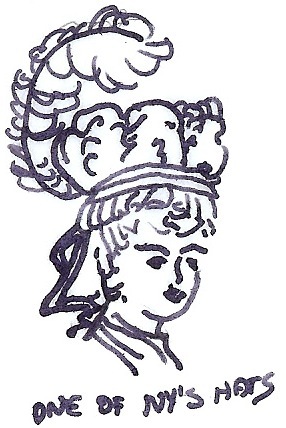 And for Lord Maccon’s claviger, the irreverent Tunstell? 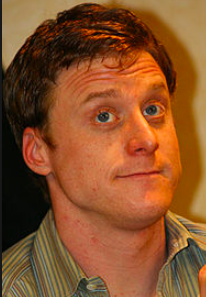 Gotta have Alan Tudyk hamming it up with shockingly red hair and a penchant for singing bad opera at inopportune moments. 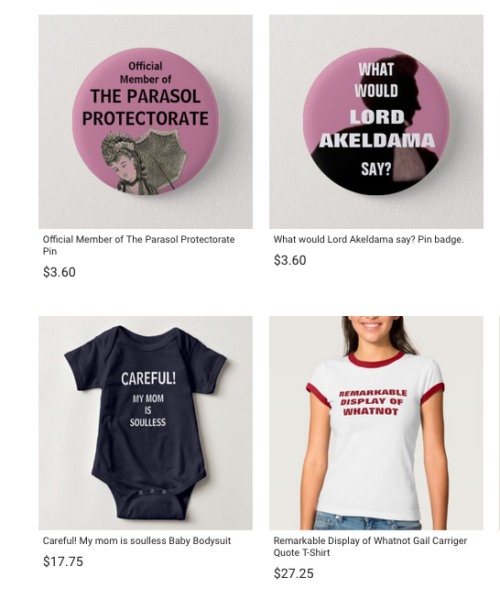 Lord Akeldama is Alexia’s dearest friend, a gay vampire in charge of a spy network the Scarlet Pimpernel would envy with the flamboyance of Oscar Wilde. 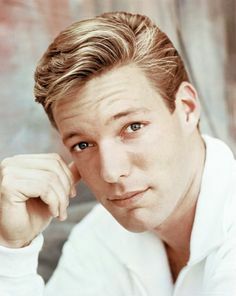 I modeled him (of course) off of Richard Chamberlain circa The Slipper and the Rose. 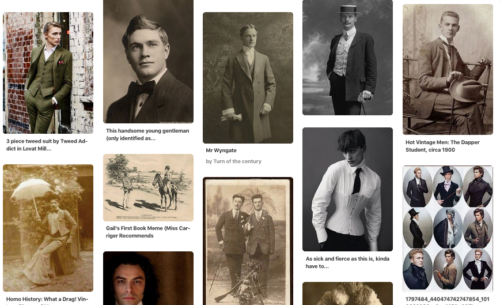 I’m thinking, Paul Bettany. 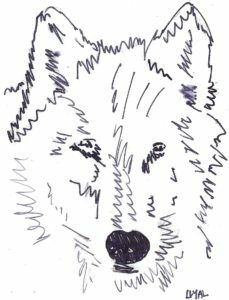 He stripped starkers for A Knight’s Tale so I figure he’s probably open to most possibilities, but he is rather tall and gangly. 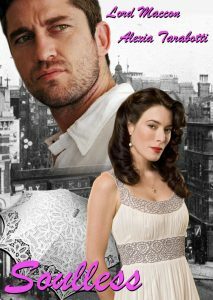 I could see Jonathan Rhys Myers if I wanted to lean a bit more pouty and petulant. 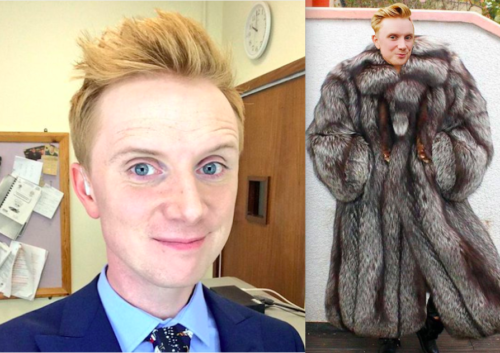 But honestly there is a charming Welsh weatherman, Owain Wyn Evans, who basically is the living embodiment of Lord Akeldama. 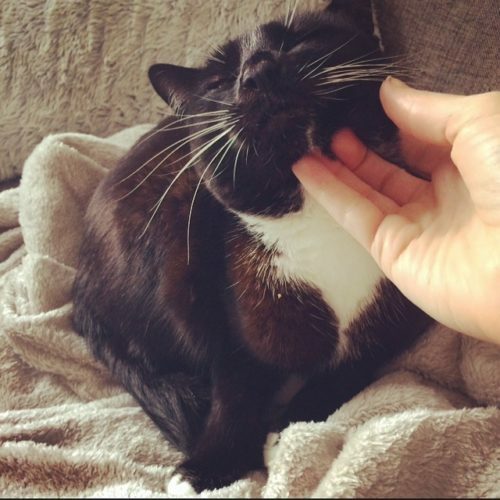 You can follow him on Twitter, and you should! 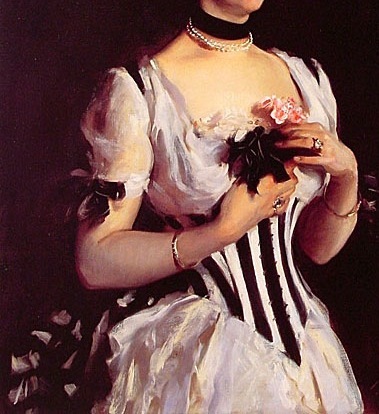 In the enemy camp, I’d like Jennifer Ehle to portray Countess Nadasdy. 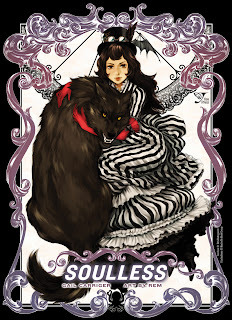 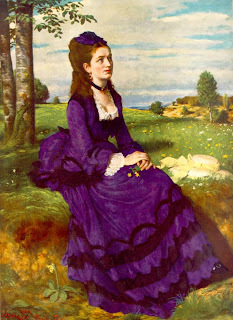 Elizabeth Bennett may seem like an odd choice for a vampire queen, but the countess is a rosy-faced shepherdess type. 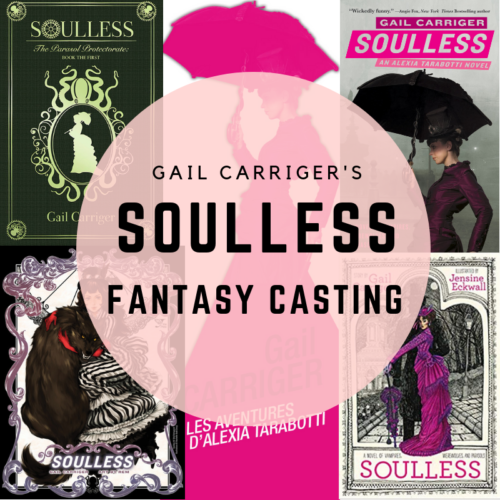 I’d surround her with three over-dramatic vampire males, each more cape-swirling than the last: Jason Isaacs as Lord Ambrose, Richard E. Grant as Dr. Caedes, and Gary Oldman as the Duke of Hematol. 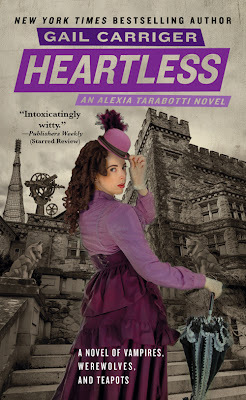 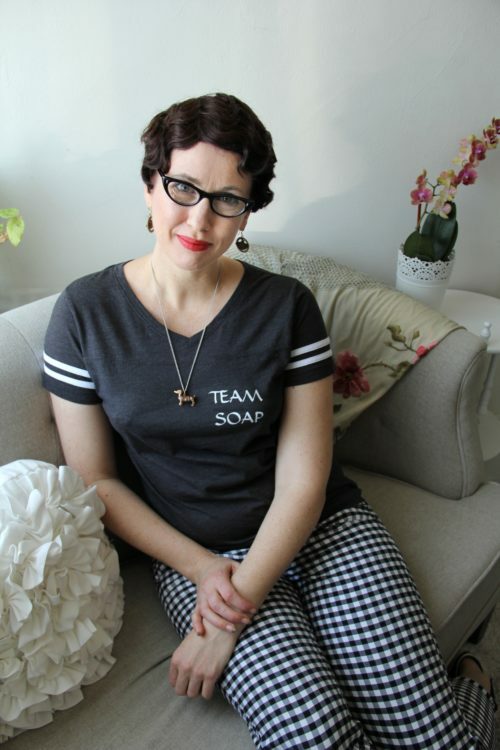 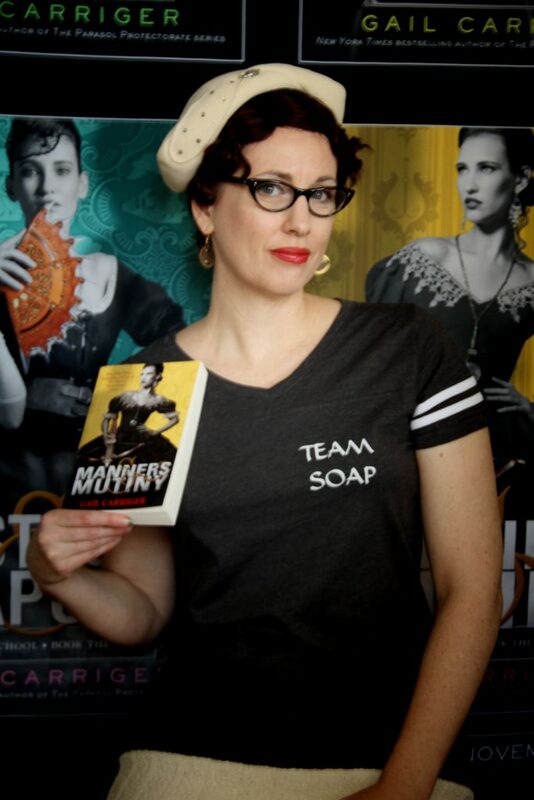 Ivy Hisselpenny is Alexia’s foil and female BFF. 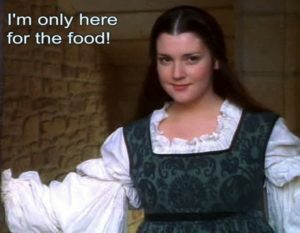 I had the hardest time casting her until I remembered Melanie Lynskey who’s perfect. 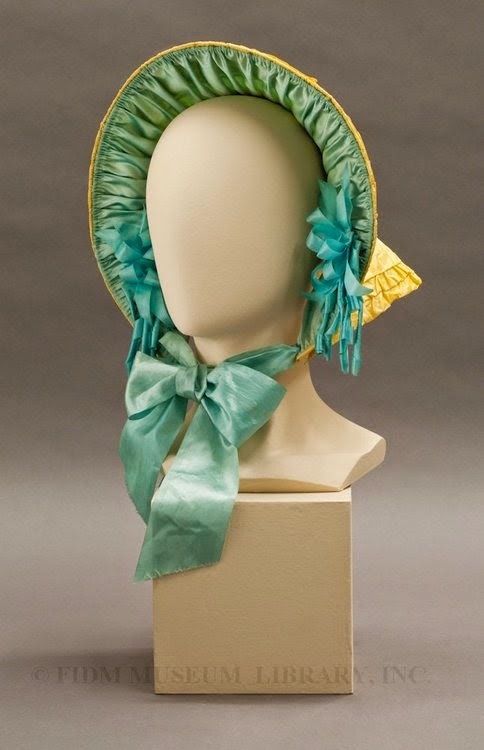 Or in Ivy’s case, hats. 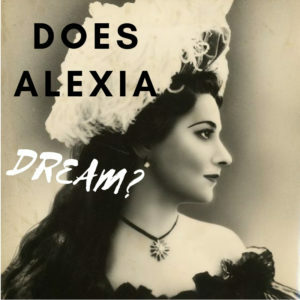 As for Alexia’s outrageously impossible family? 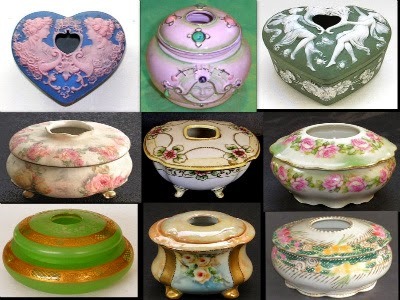 I’ll take one each of the following: Squire Loontwill – Hugh Laurie, Mrs. Loontwill – Imelda Staunton, Evylin – Kimberley Nixon. 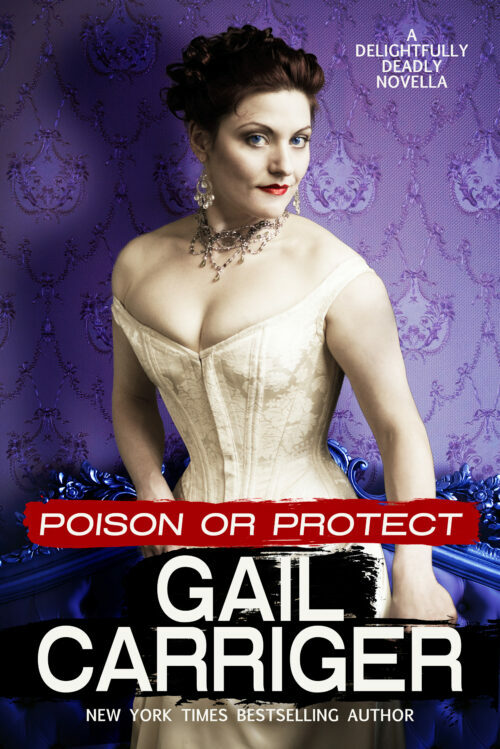 and Felicity – Jo Joyner or Romola Garai. 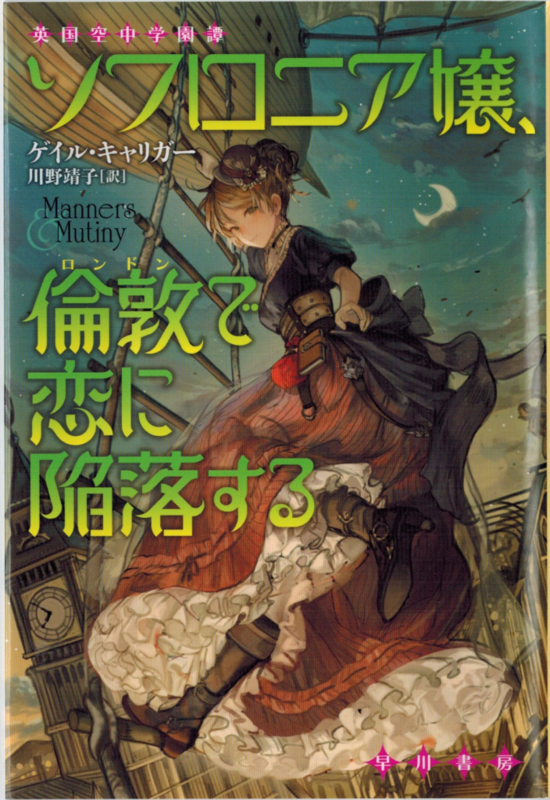 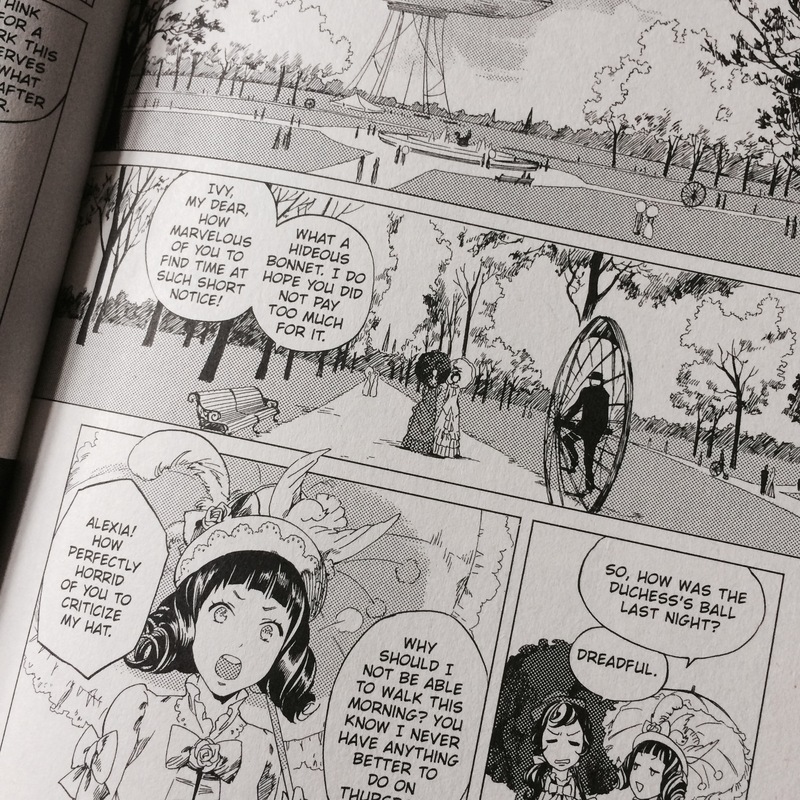 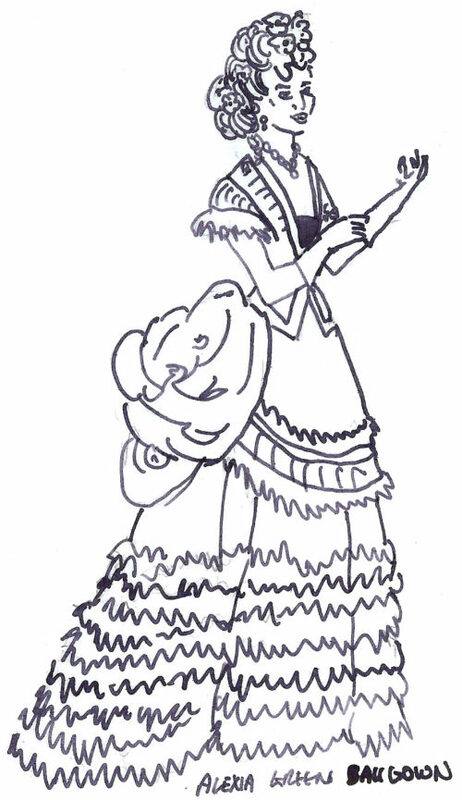 We mustn’t forget Floote, the oft put-upon butler who has Alexia’s best interests at heart. 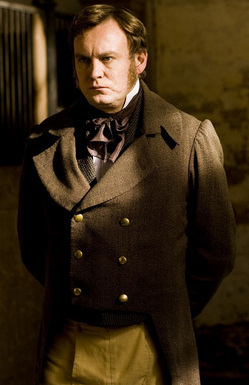 I choose the lovely Philip Glenister. 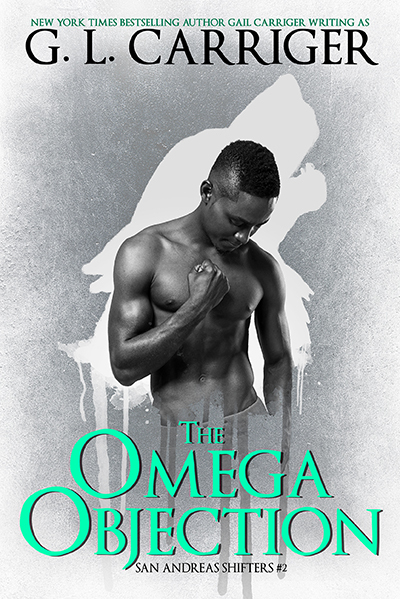 I can think of no better straight man in the business right now. 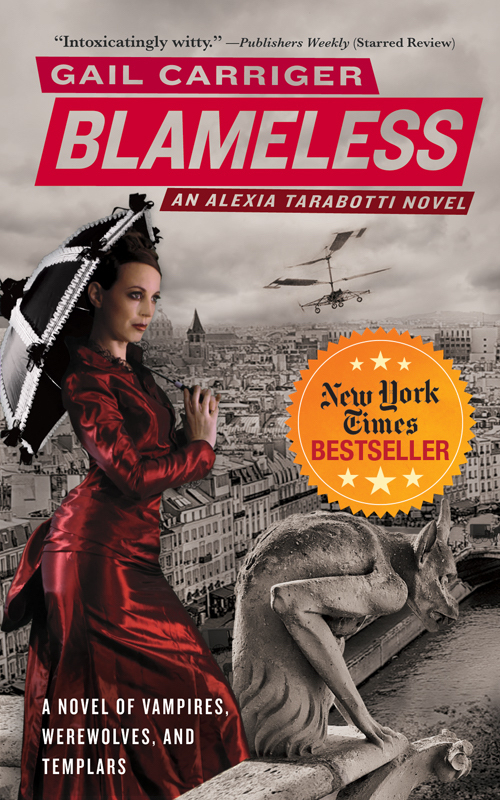 For Mr. MacDougall, Alexia’s timid American beaux (I know, I know, an American – shocking!) 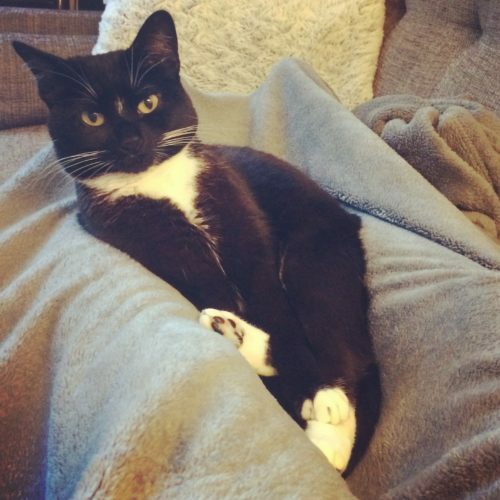 I’d slip in Kevin Smith, just for a lark. 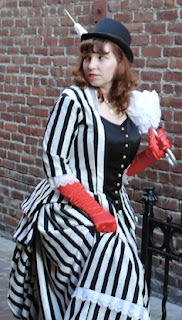 And for Mr. Siemons, our scientist of suspicious motivations? 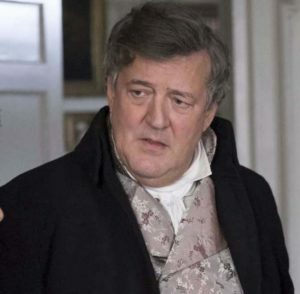 Who could beat out a pipe-puffing, mutton-chop sporting Stephen Fry? 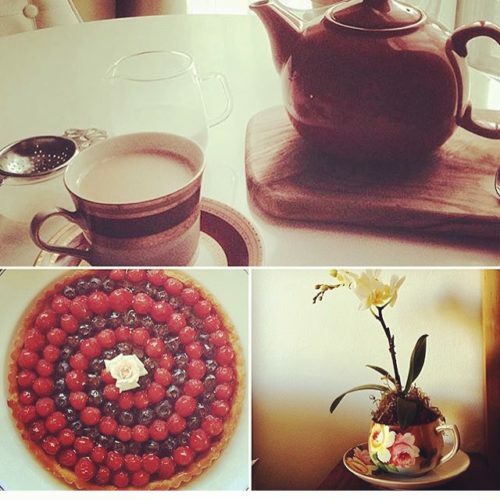 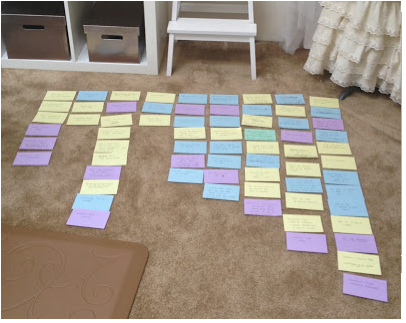 You can see me cast Prudence and the Custard Protocol in this post. 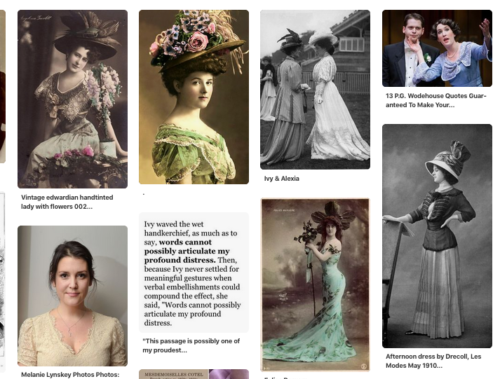 Character’s fantasy actors or inspirational public & historic figures are often pinned to my character Pinterest boards. 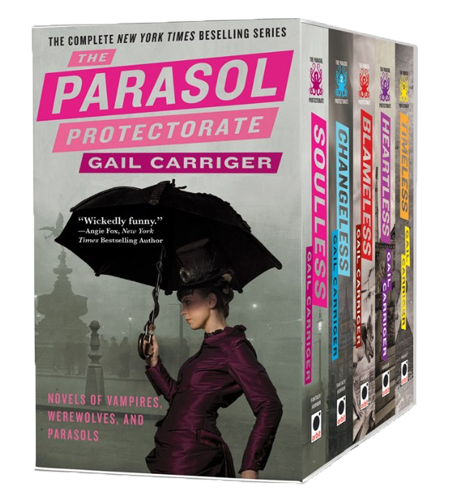 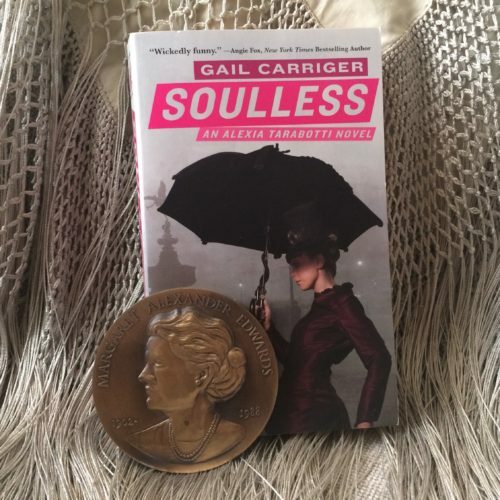 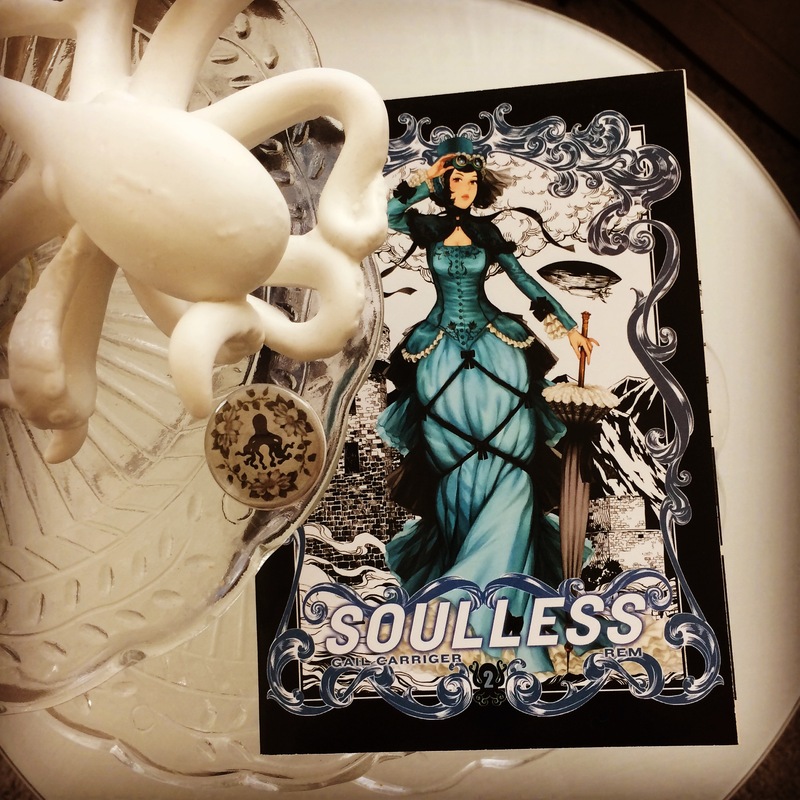 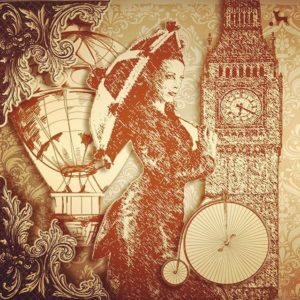 All the Parasolverse characters are listed under “Parasolverse” first. 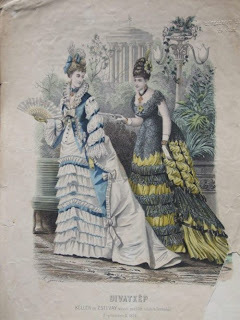 And so I leave you Gentle Reader. 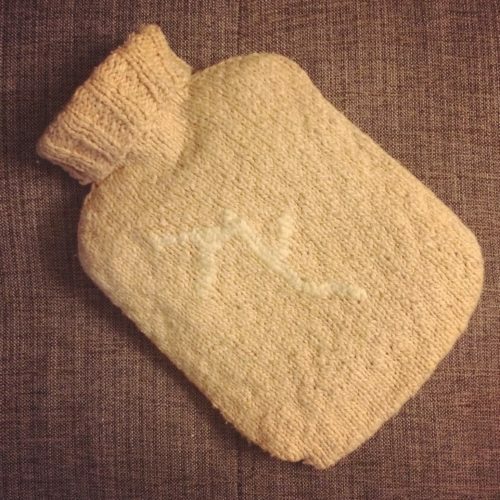 Americans need to discover how wonderful the hot water bottle is. 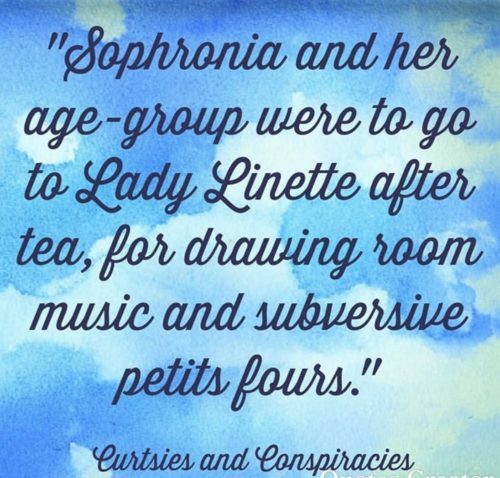 I would totally write this. 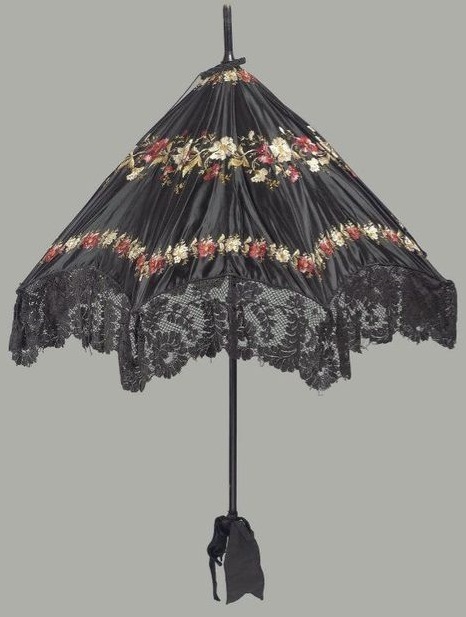 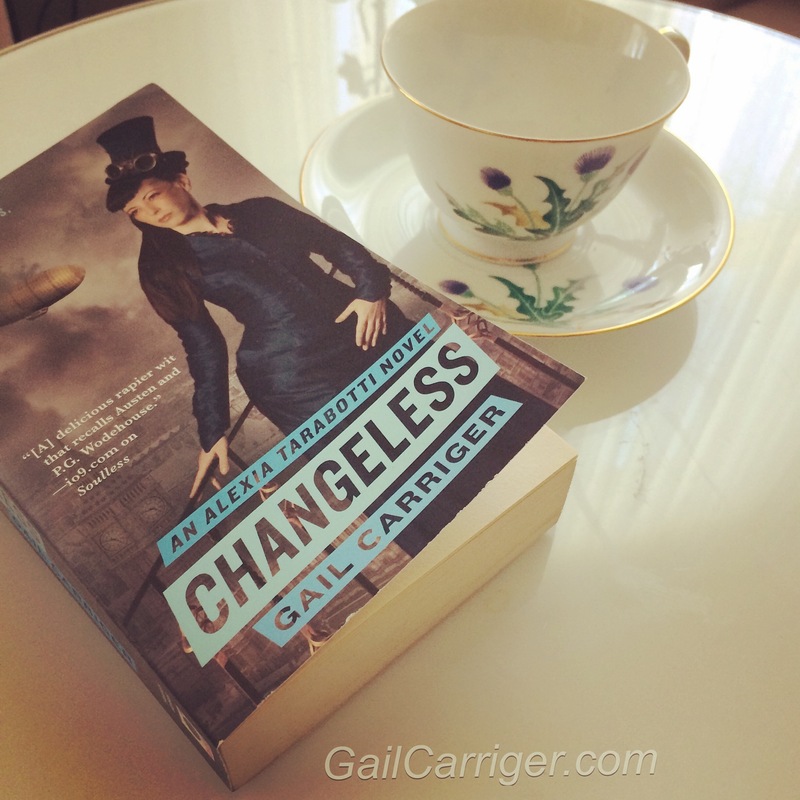 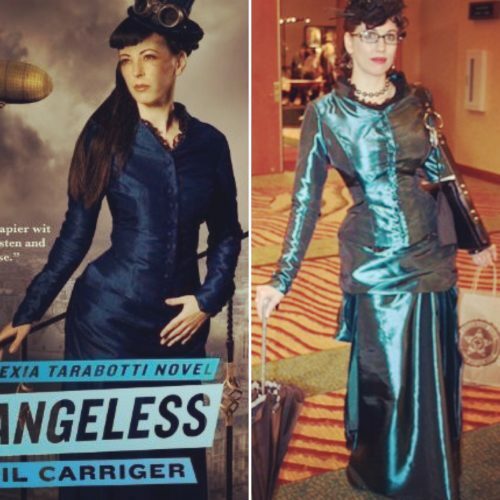 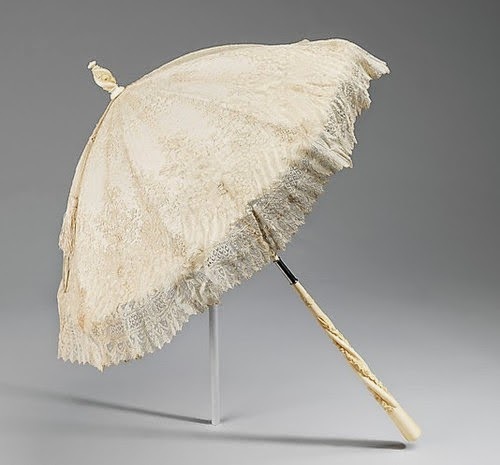 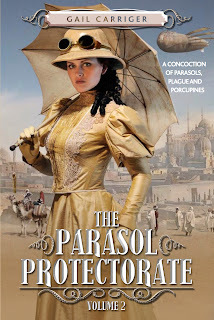 I thought you might like a glimpse, Fashionable Reader, into some of the things that Alexia might wear underneath one of those amazing dresses of hers in the Parasol Protectorate series. 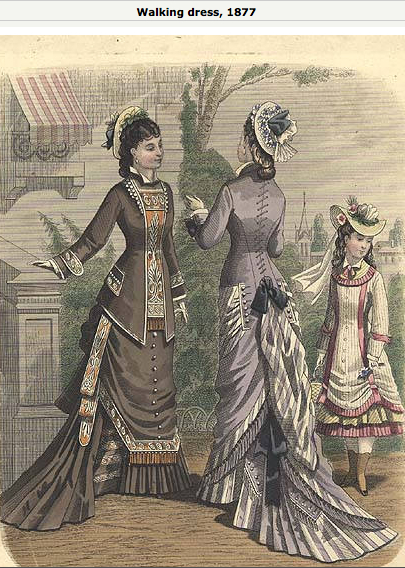 OK, so that’s what they were like during Soulless time period of early 1870s. 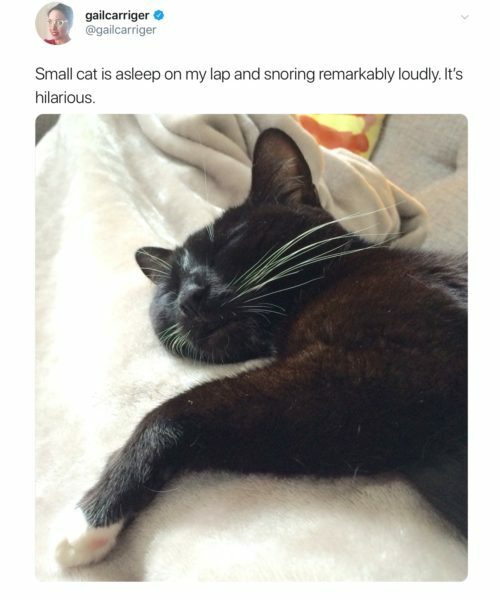 And over the whole thing? 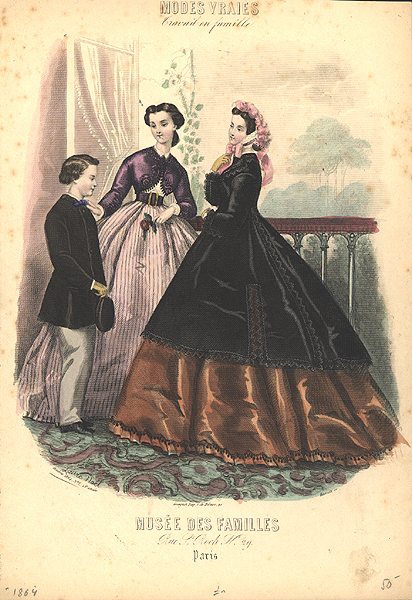 And what were the men wearing? 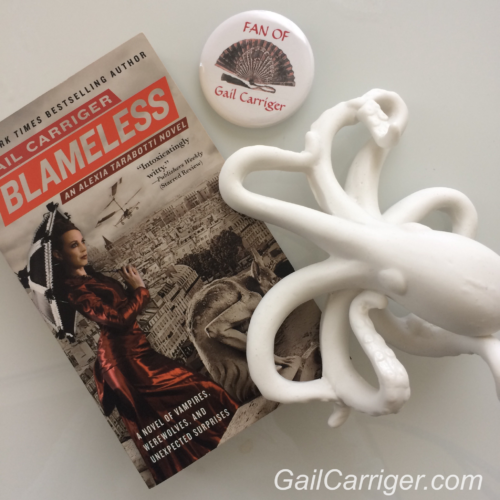 I’m interviewed all about the marking side of publishing over on the SF/F Marketing podcast. 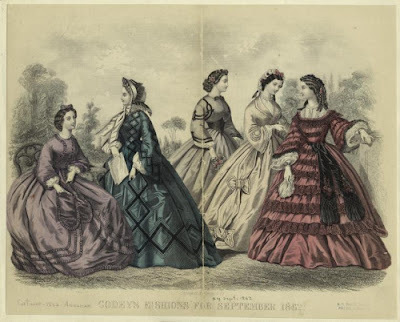 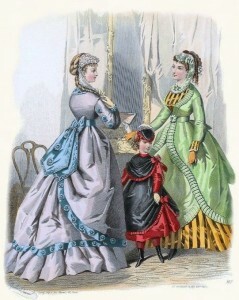 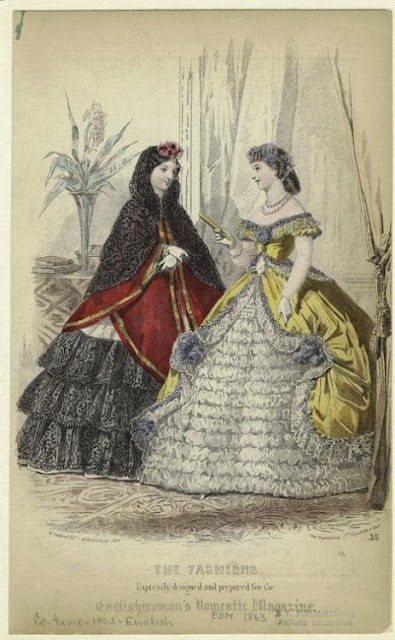 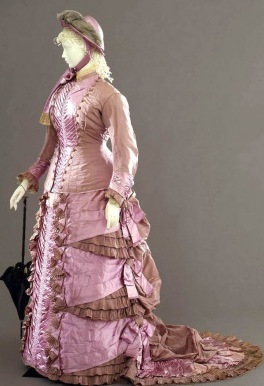 The changing fashions of 1867. 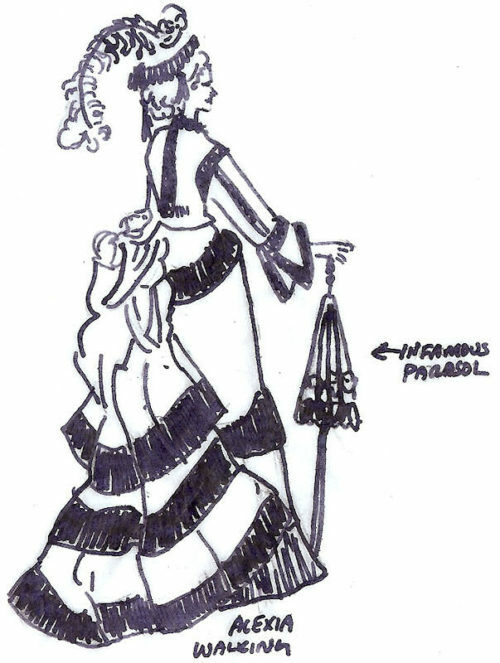 No really, the diminishing nature of full skirts is a plot point. 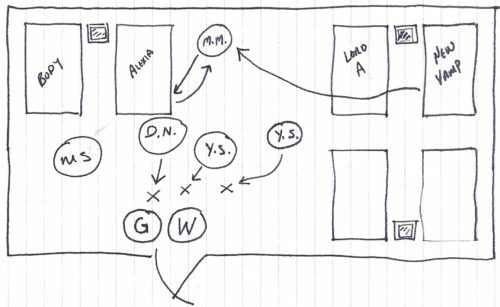 Even so, I can’t go all over with the info-dumping in the story itself, although I hope I’ve made the point as needed, so I thought I’d give you a glimpse at what I mean in further detail. 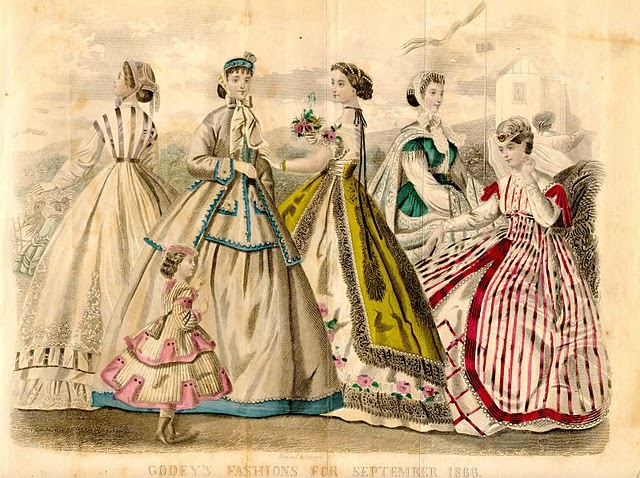 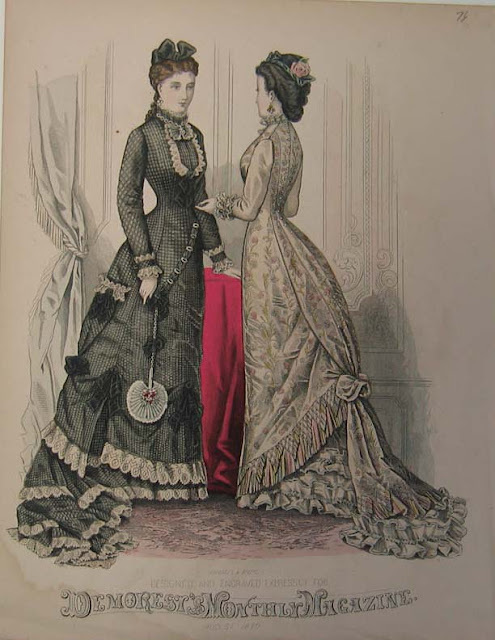 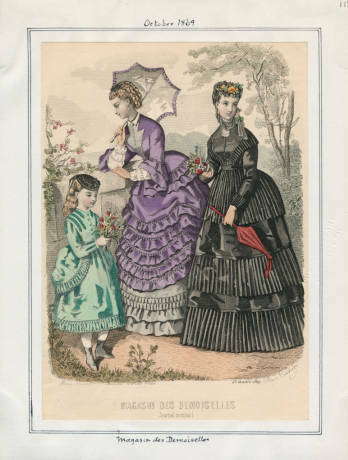 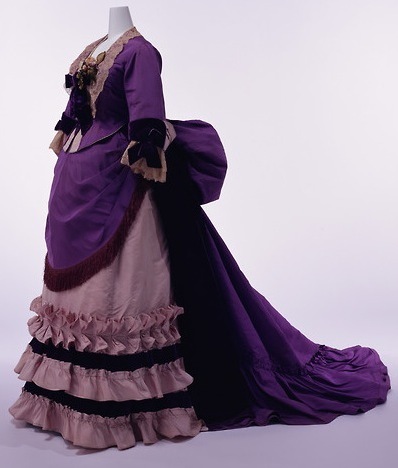 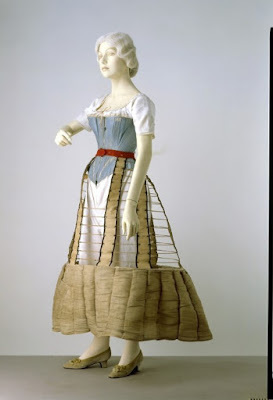 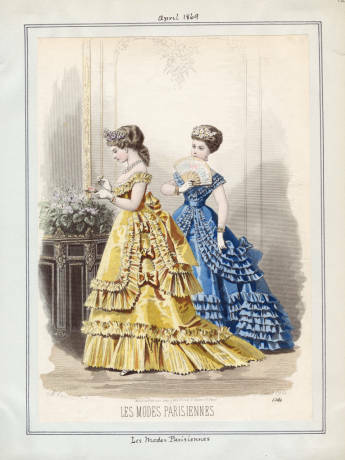 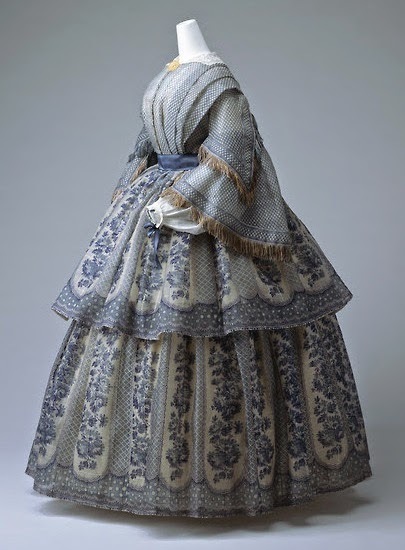 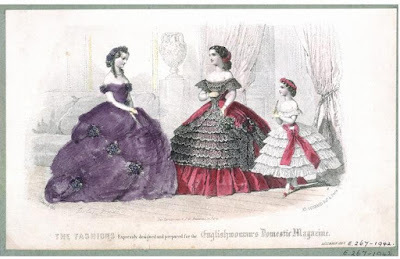 So here you have a peek at the evolving nature of skirts in the 1860s. 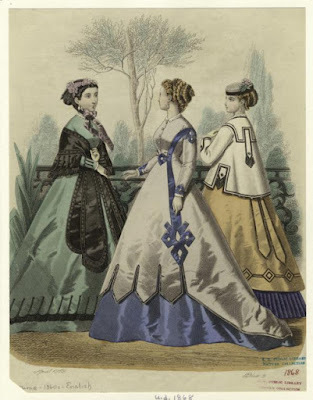 I’ve chosen to give both fashion plates and actual dresses. 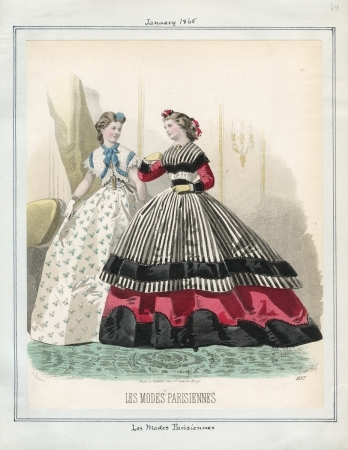 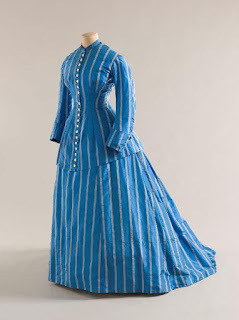 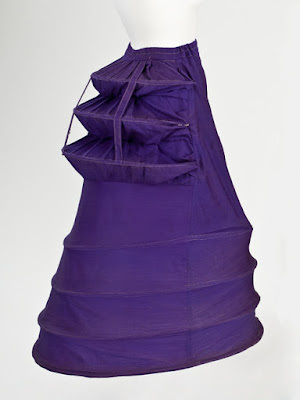 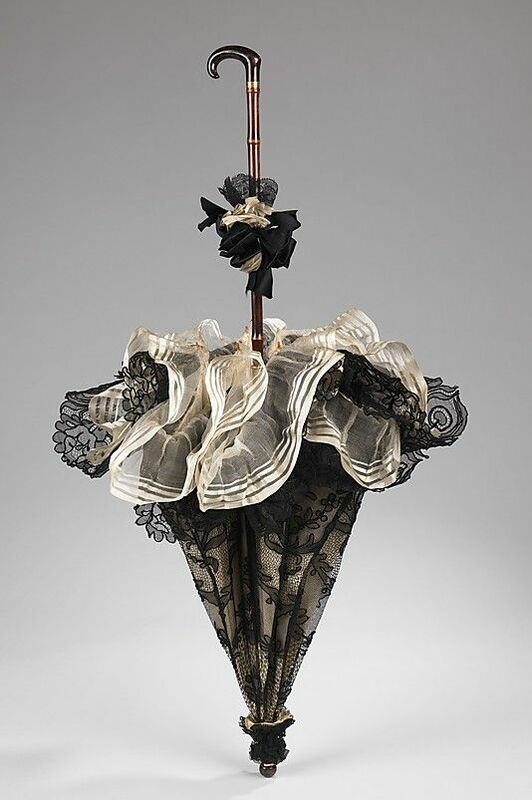 At the beginning of the 1860s dress skirts were very wide indeed, notably assisted by the cage crinoline. 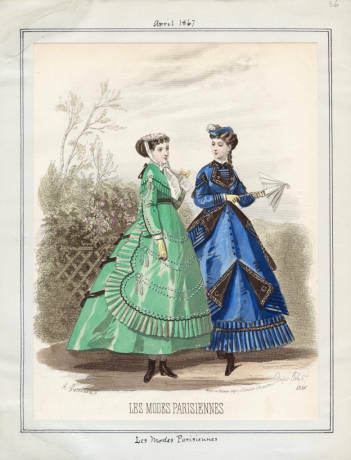 By the end of the 1850s, the cage was hugely popular with the fashionable set as it allowed one to wear (slightly) fewer petticoats. 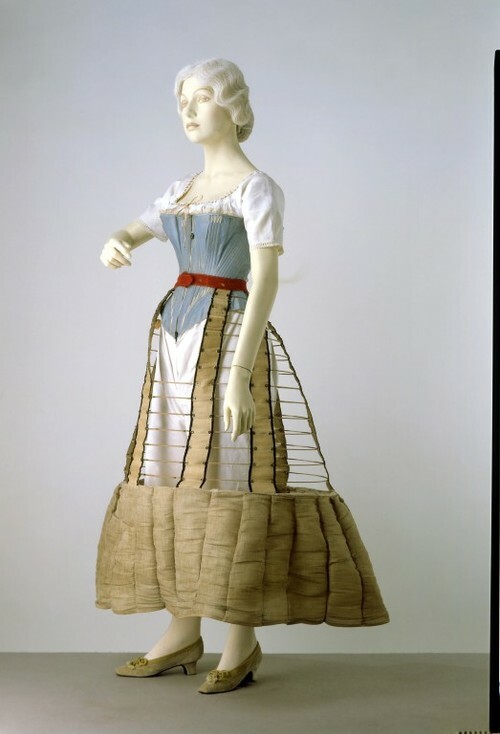 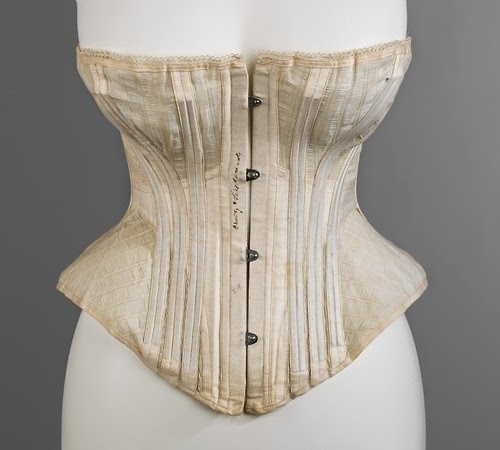 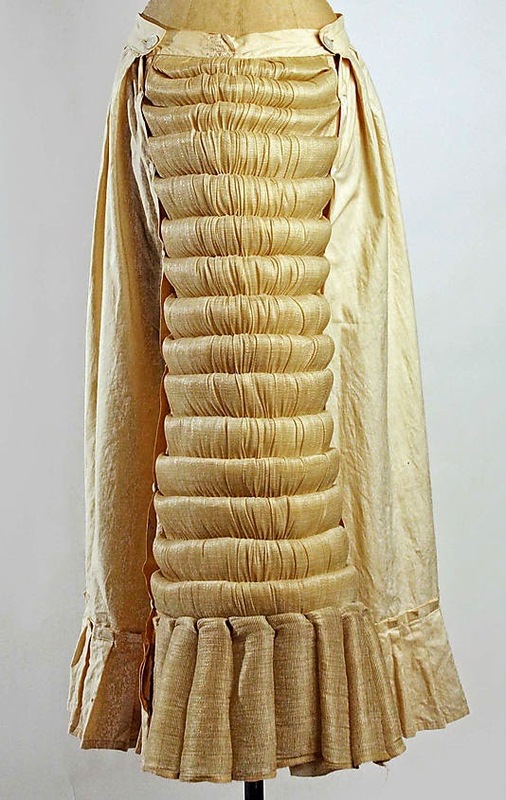 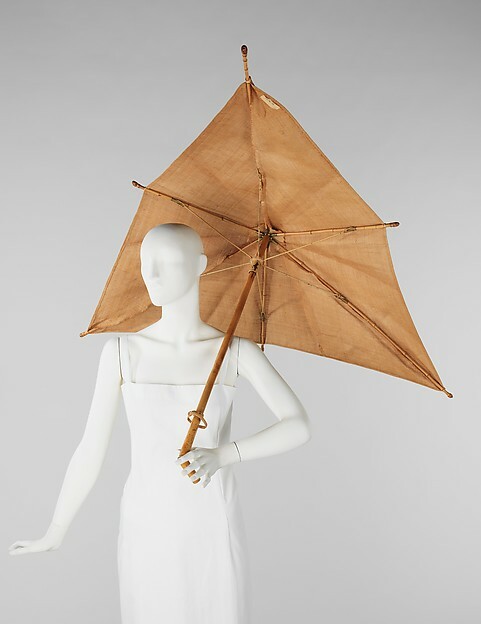 Note, however, that it was the height of vulgarity to see evidence of the cage in terms of steel rings or tapes (like VPL), so one did still require several petticoats over the crinoline to hide these. 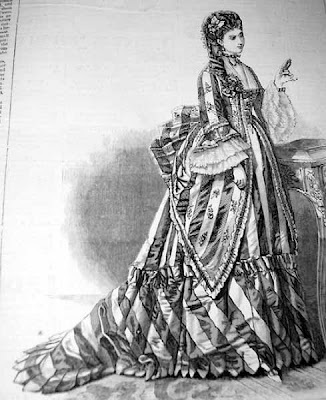 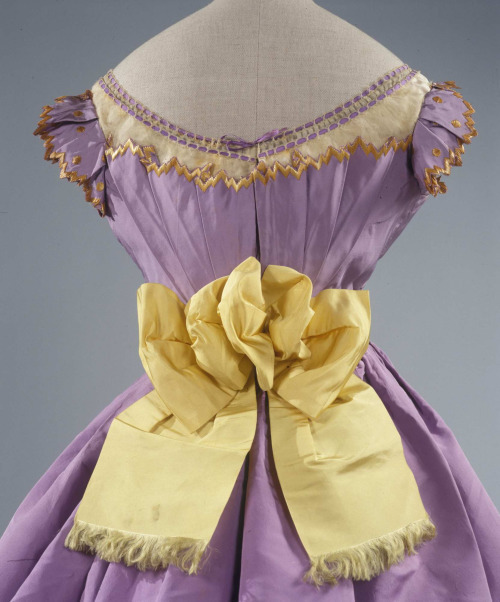 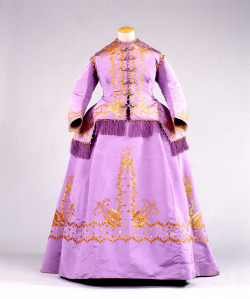 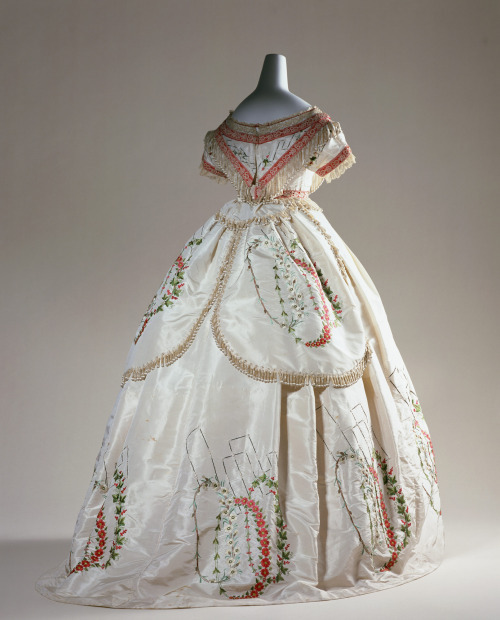 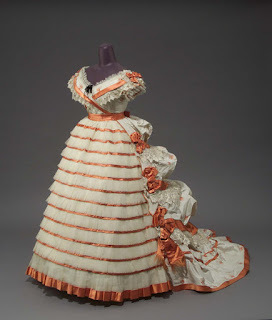 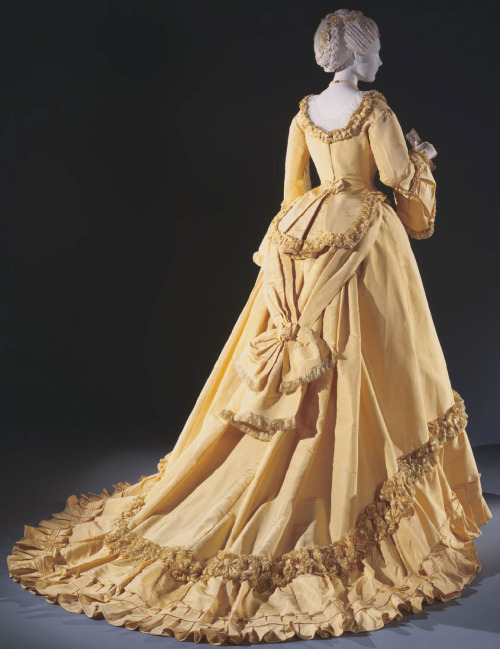 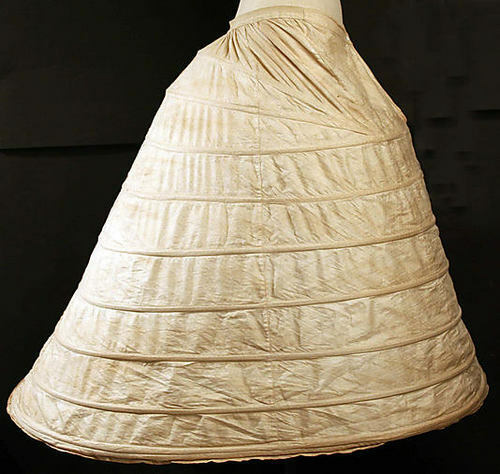 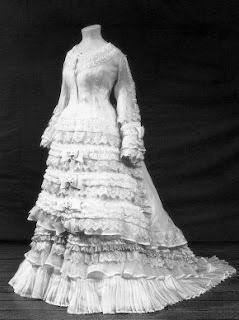 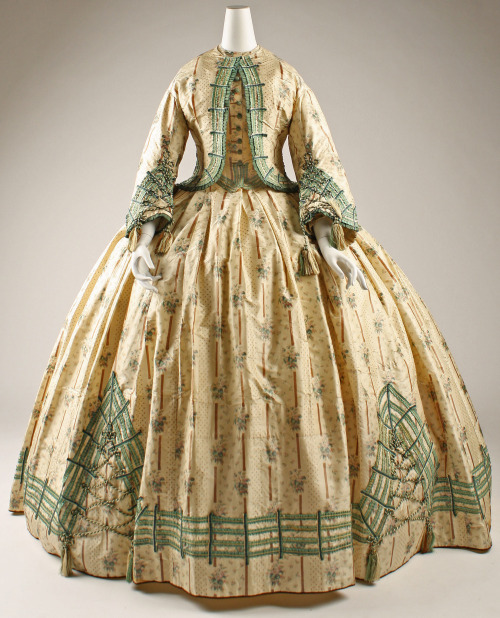 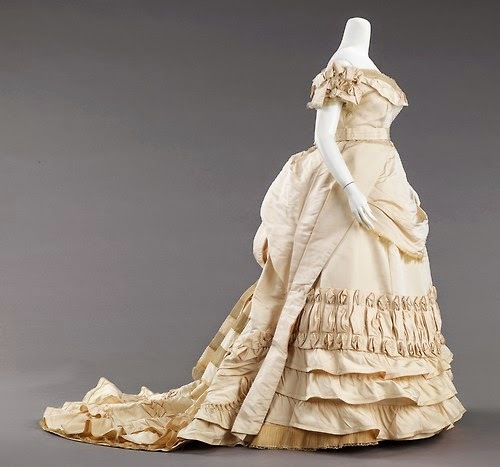 A ruffle was often sewn on the bottom, which could be replaced with a different color to match the over-skirt. 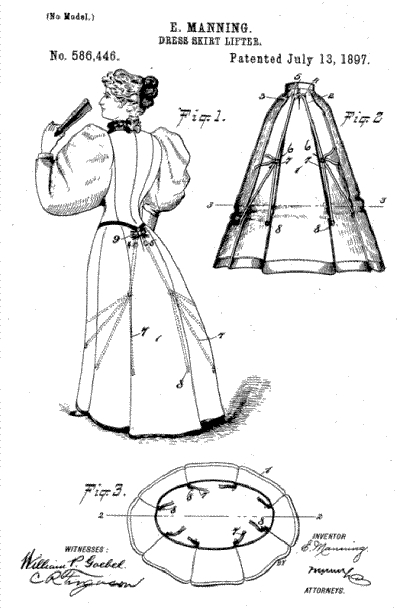 Also the cage caused ladies to be vested in the need for longer underpinnings, should the cage swing too far when dancing. 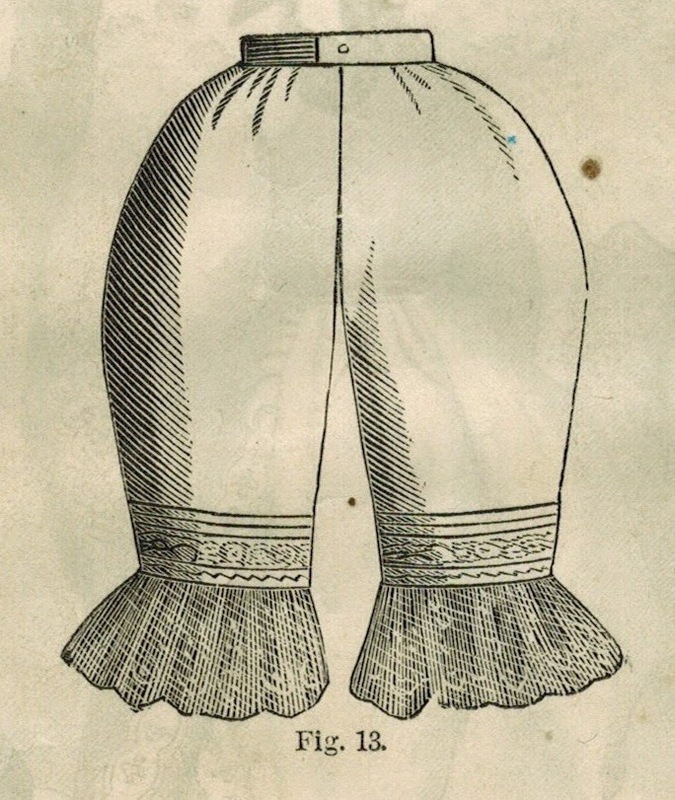 Hence the brief fad for pantalettes. 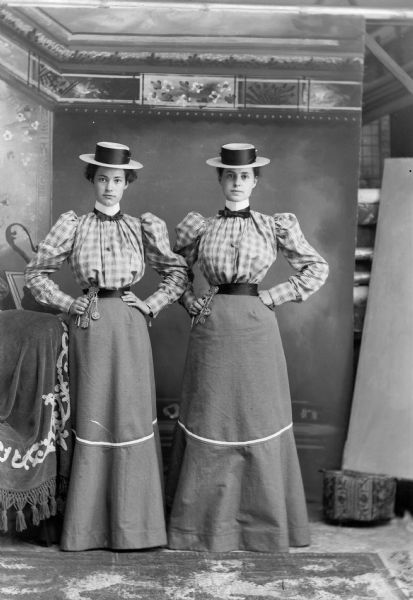 Note how the skirts are sliding more and more towards the back by this point? 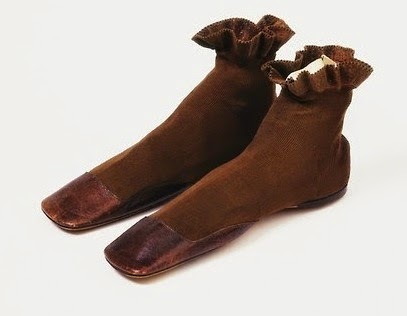 At the same time they become more narrow. 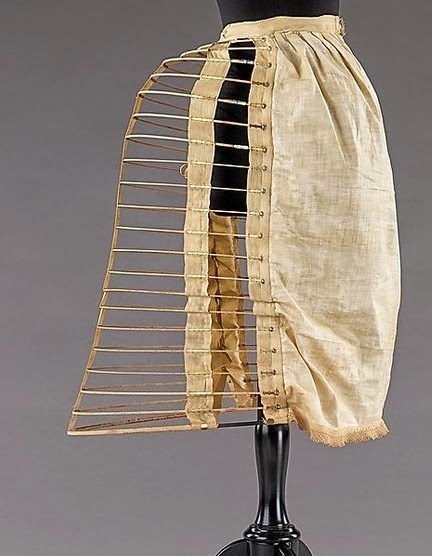 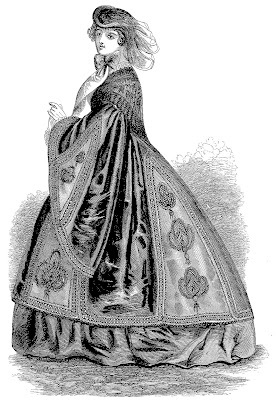 An advanced oval form of the cage crinoline became quite popular, but a lady was also permitted to wear layers of petticoats cleverly cut instead. A discussion on this matter occurs in Poison or Protect, and is key to understanding Preshea’s character. 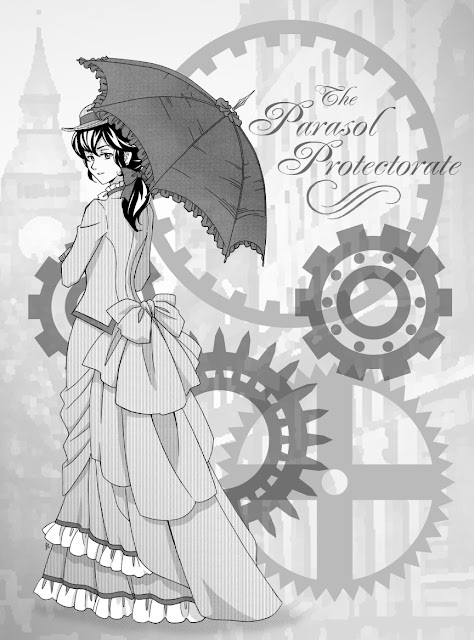 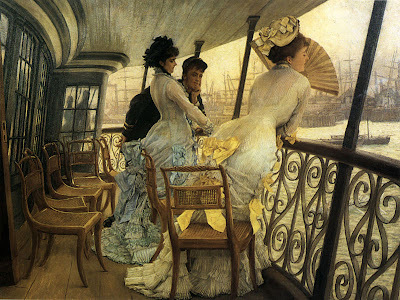 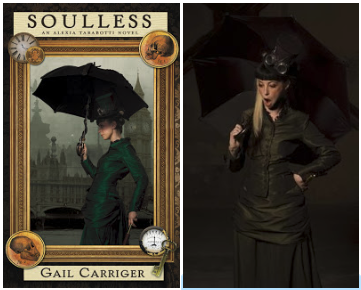 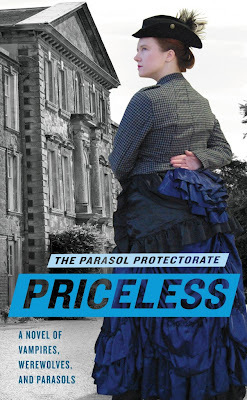 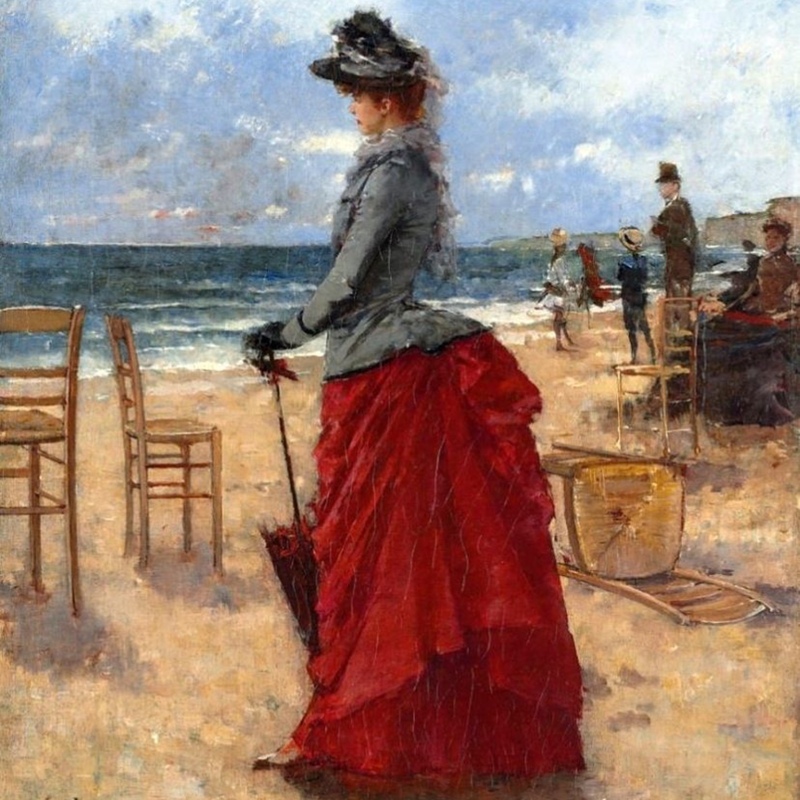 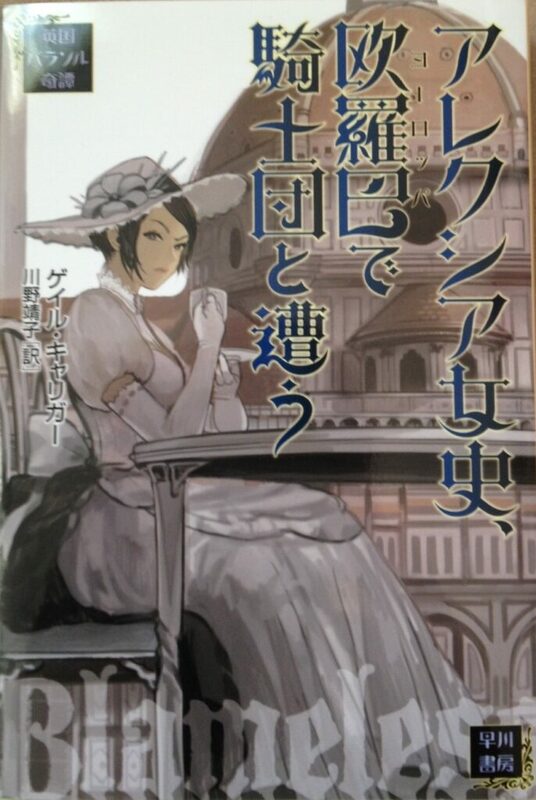 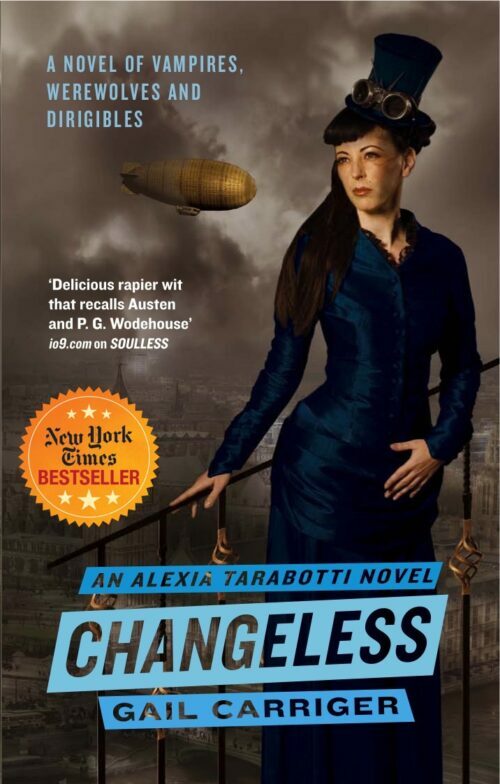 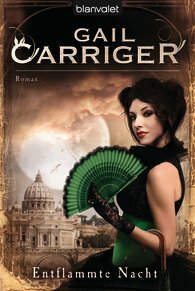 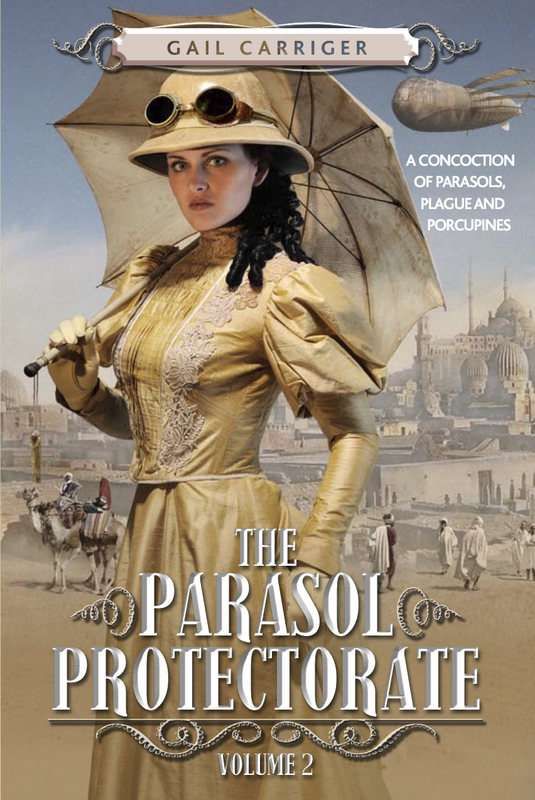 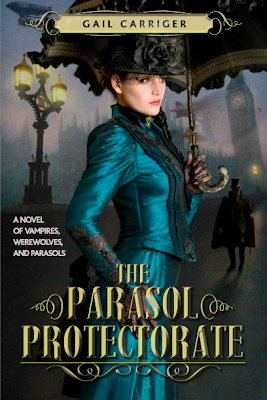 And so the style leads into the 1870s tighter bustle silhouette, as described in the Parasol Protectorate series. 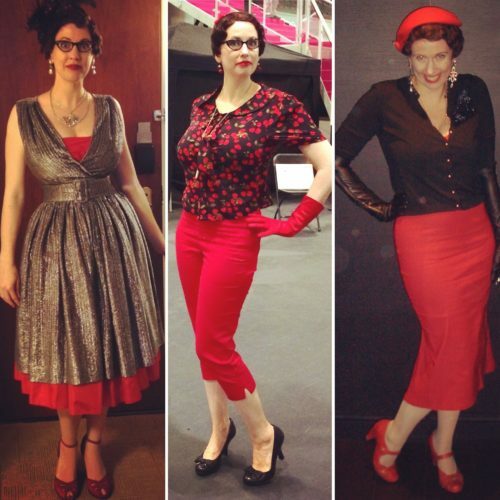 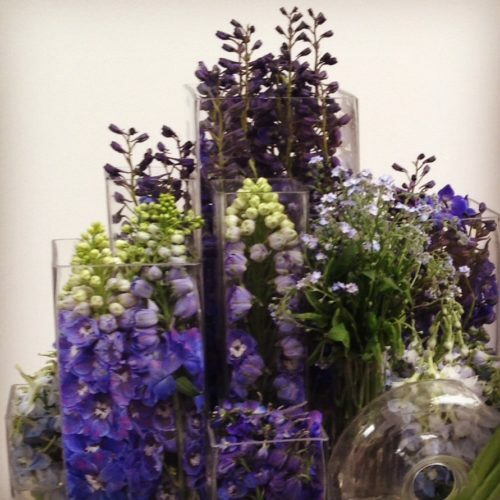 Want more on these specific transition of styles? 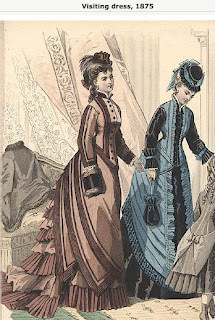 I hope you have enjoyed this insight, Fashionable Reader. 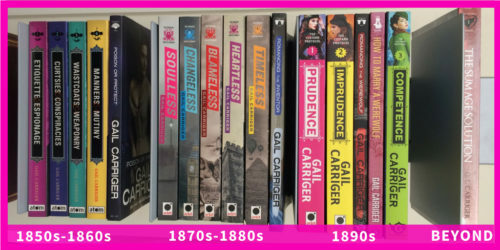 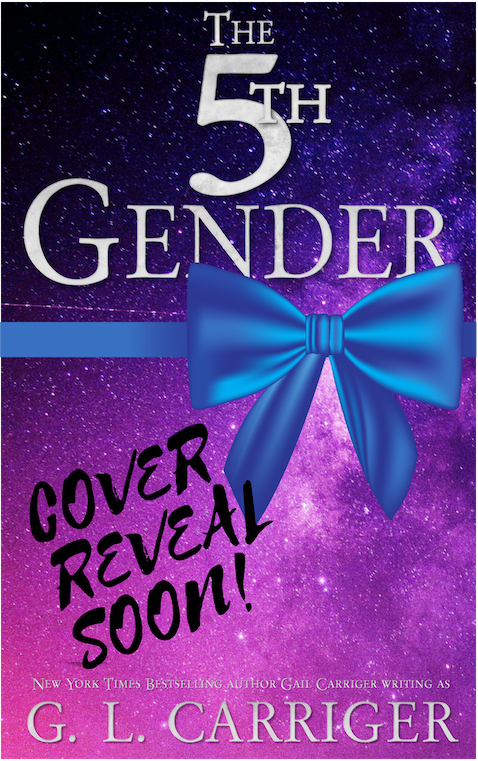 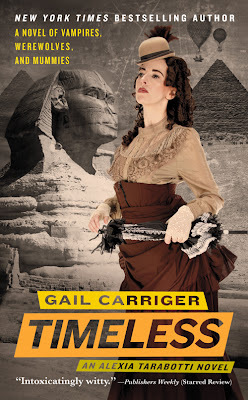 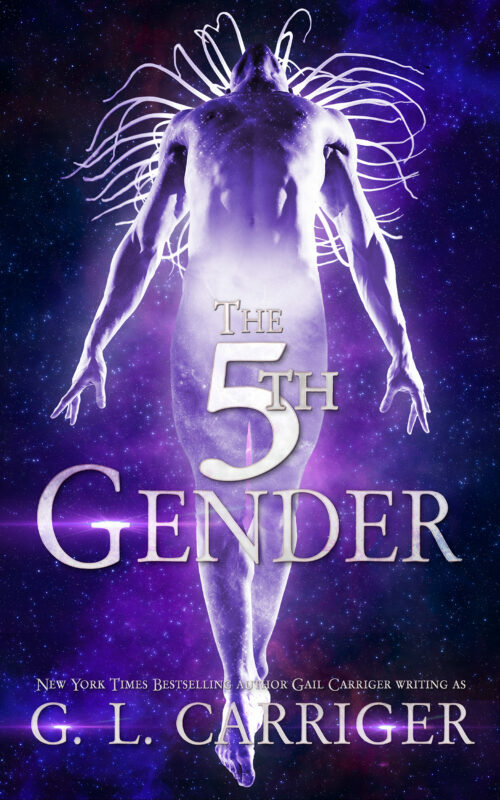 All Gail’s books in one place. 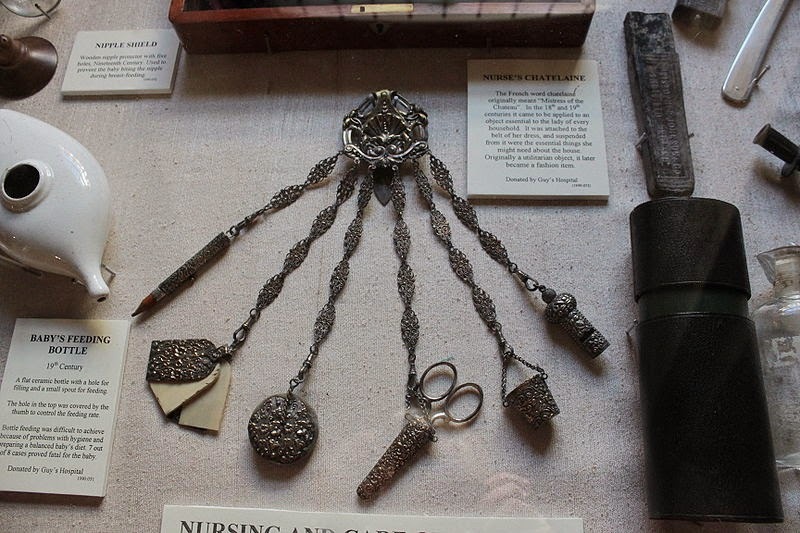 One of the tools Sophronia and her friends often wear in my Finishing School series is the chatelaine, Fashionable Reader. 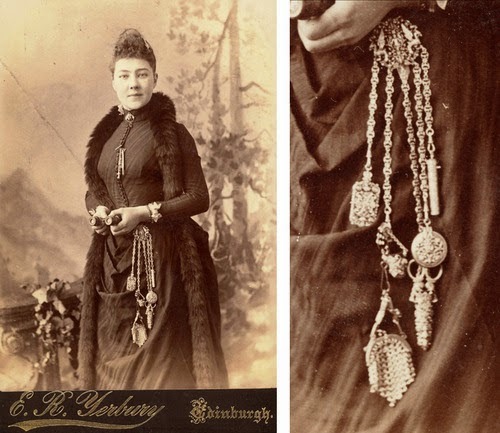 From Wikipedia: A Victorian Lady’s finishing touch ~ the chatelaine. 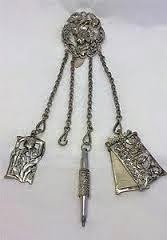 A chatelaine is a decorative belt hook or clasp worn at the waist with a series of chains suspended from it. Each chain is mounted with a useful household appendage such as scissors, thimble, watch, key, vinaigrette, household seal, etc. 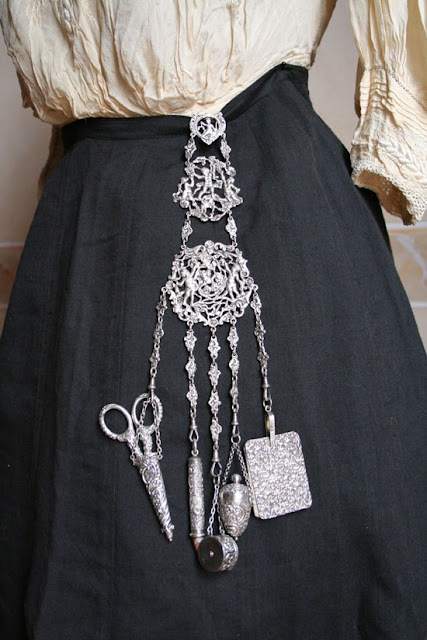 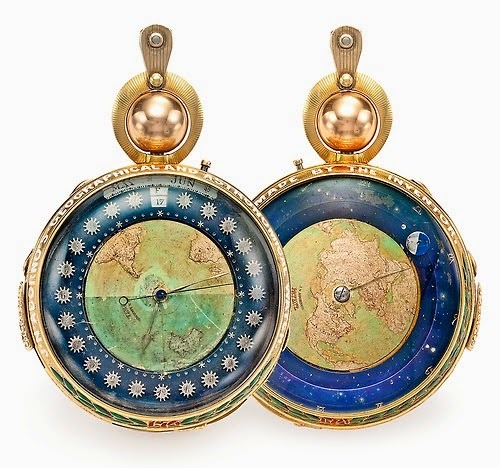 Chatelaines were worn by many housekeepers in the 19th century and in the 16th century Dutch Republic, where they were typically used as watch chains for the wealthy. Similar jewellery was also worn by Anglo Saxon women, as seen from the burial record, but its function is uncertain. 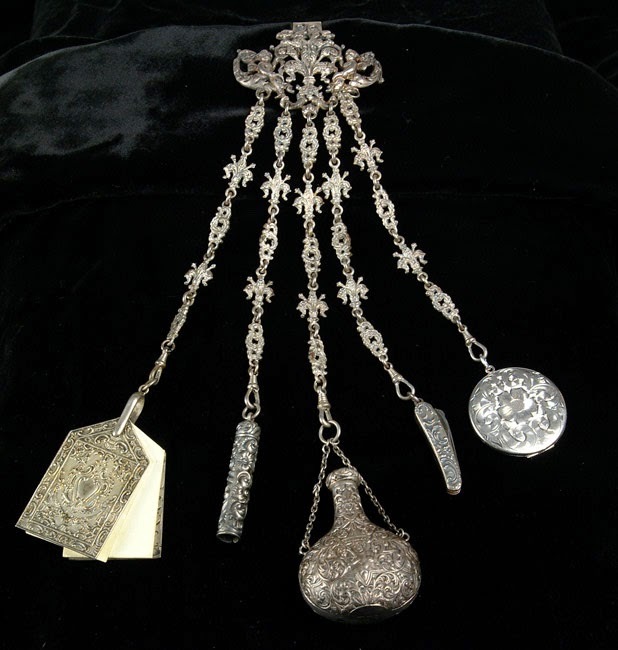 The name chatelaine derives from the French term châtelaine. 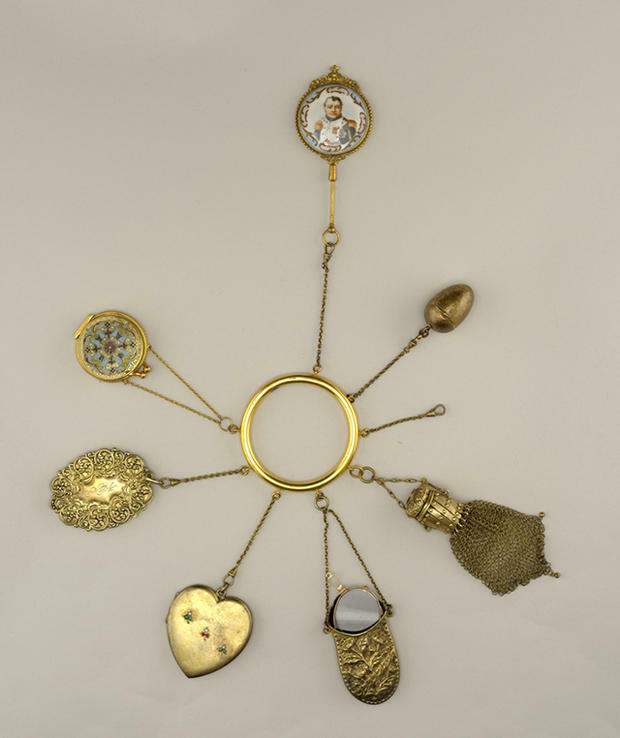 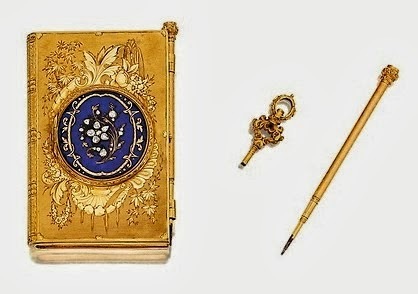 shewhoworshipscarlin-tumblr Chatelaine with calendar, late 1700s, France. 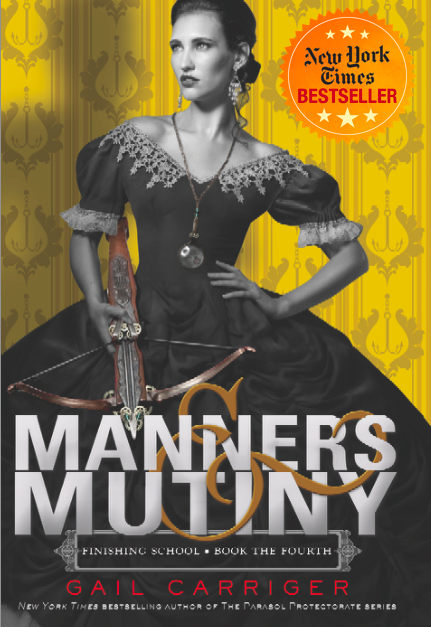 Specifically mentioned in the final Finishing School book, Manners & Mutiny, is the Carte de Bal. 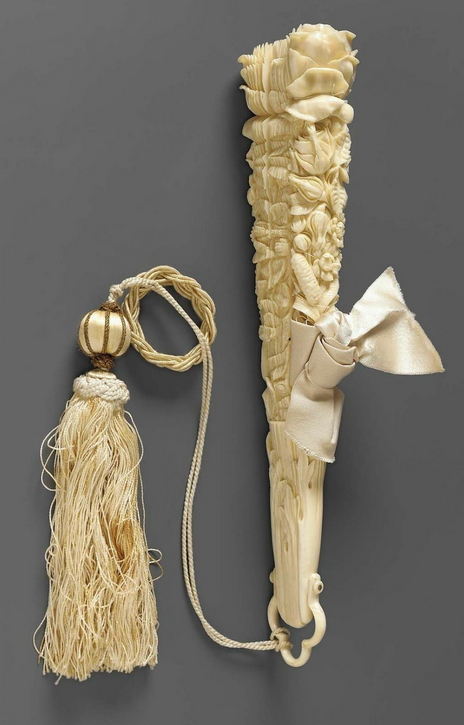 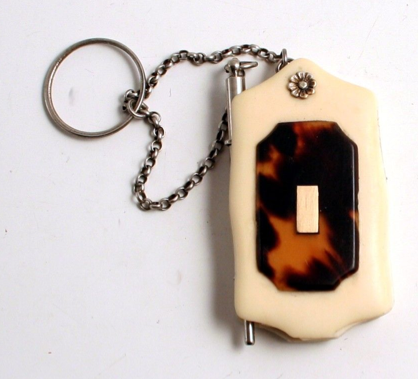 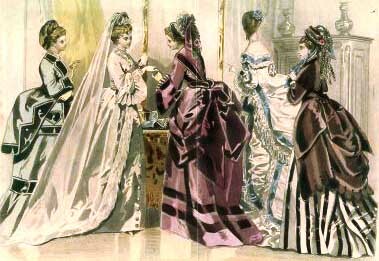 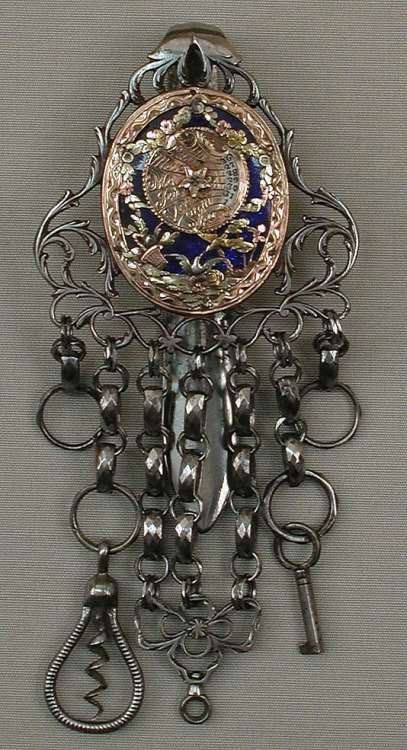 Essentially, the Carte de Bal is a Chatelaine specifically designed to go to a dance. 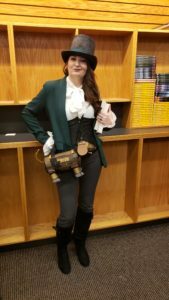 This post originally appeared on Retro Rack. 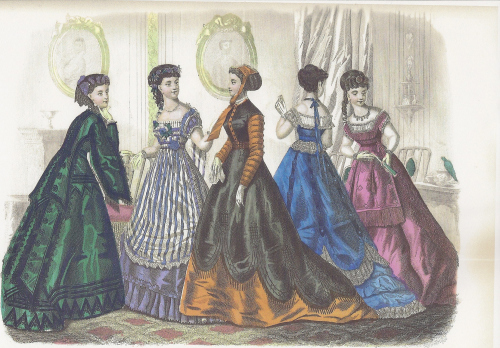 I use a number of terms for articles of clothing in my Finishing School books. 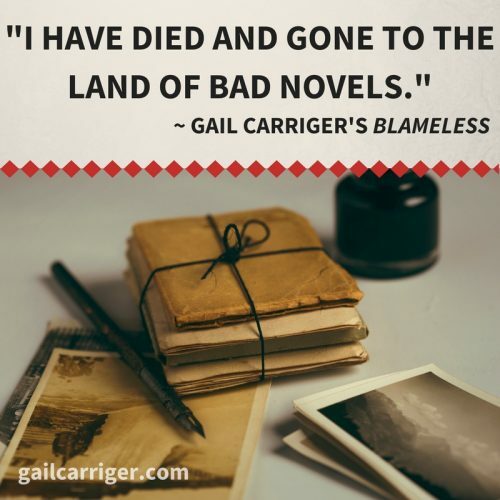 Most of the time I’m aware that some of my readers aren’t familiar with the particulars. 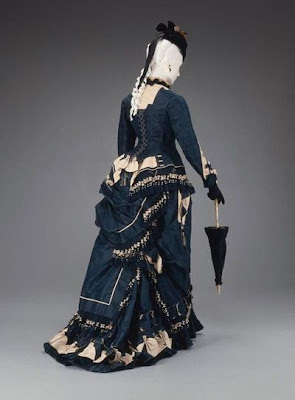 I try to use unfamiliar Victorian words in context that allows the reader to at least understand what kind of clothing it is (outerwear, underwear, upper body covering, lower, etc). 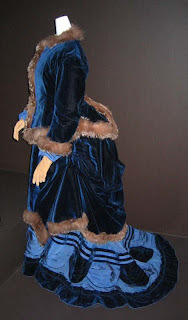 Nevertheless, here, for your edification, are some pictures of what these things actually look like! 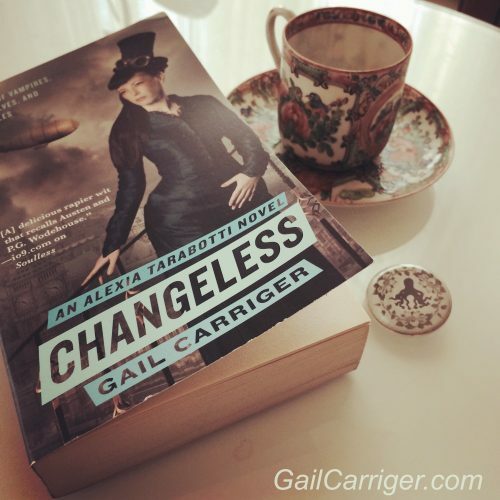 Ever wondered as you read? 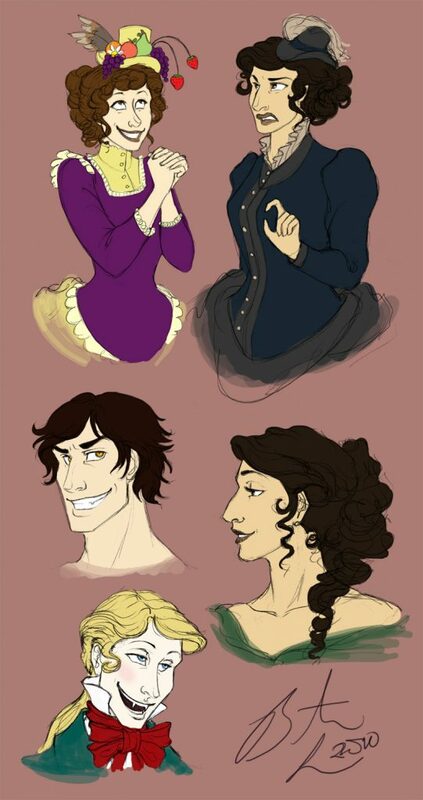 Now you’ll know. 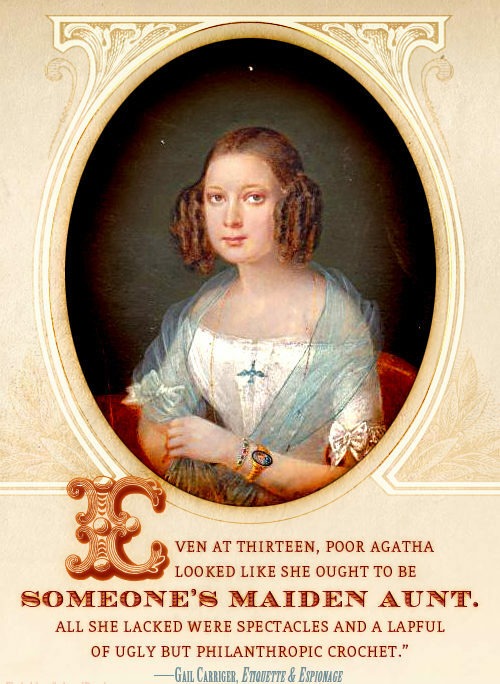 Agatha’s lace tuck is always slipping. 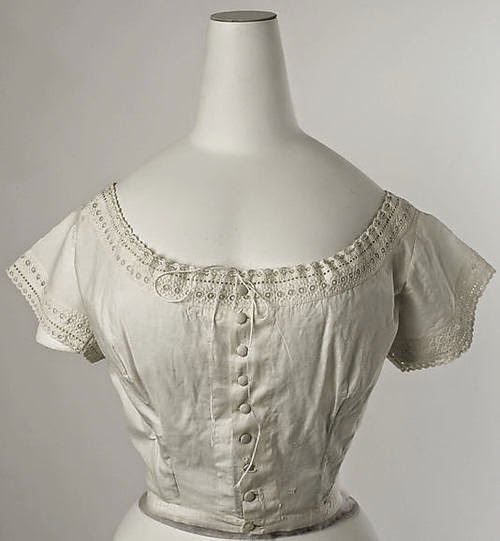 You can think of it as kind of like a removable collar (see above) only it is worn around the lower part of the neckline of a deeper cut dress. 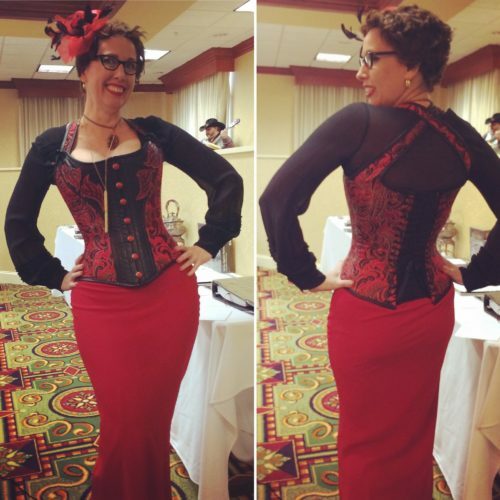 It’s tucked in to hide some of the depth of cleavage. 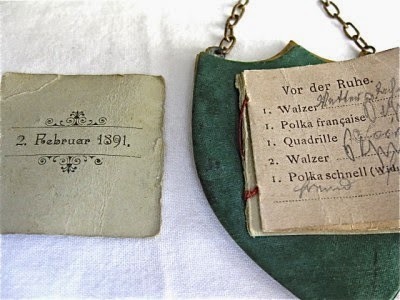 It’s prone to slipping because it is not stitched on. 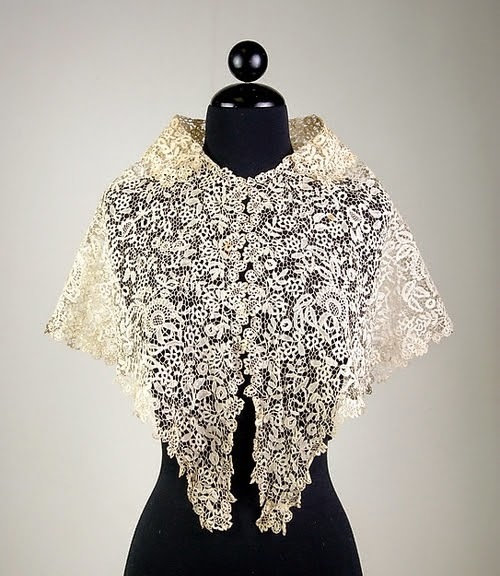 Lace was expensive and you wanted to be able to reuse it. 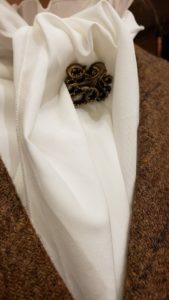 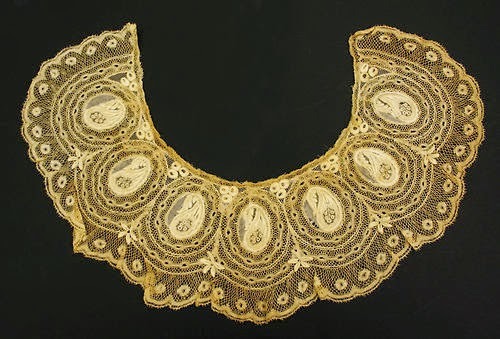 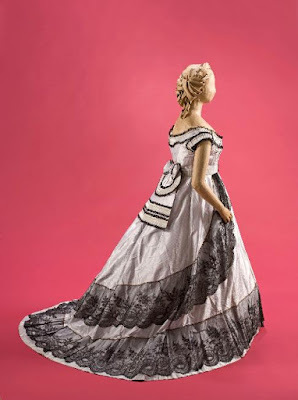 More common in the Regency Era prior to the Victorian Era, the lace tuck persisted in more conservative institutions through the 1850s until industrialized lace became inexpensive enough to stitch directly onto the necklines of dresses. A cape-like item worn so that peaks drape down in the front. 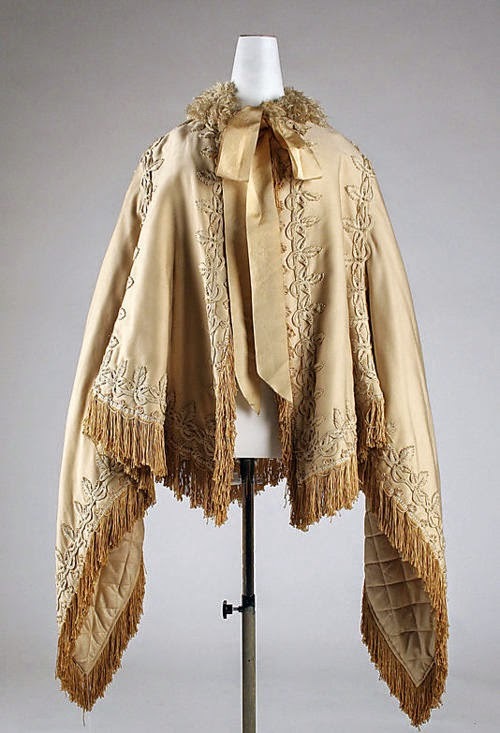 Originally for warmth and modesty, later mostly decorative. As the Victorian era progresses the pelerine came to mean longer point in the front while the fichu was smaller and more dainty. 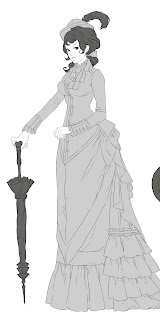 Sophronia’s boots have rubber soles, very unusual and uncommon right up through the turn of the century. 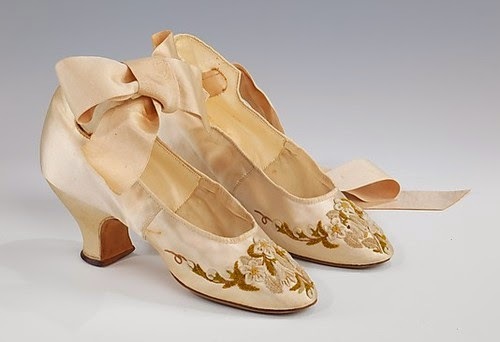 Most shoes had hard leather soles or softer ones for indoors (like dancing shoes still do today). 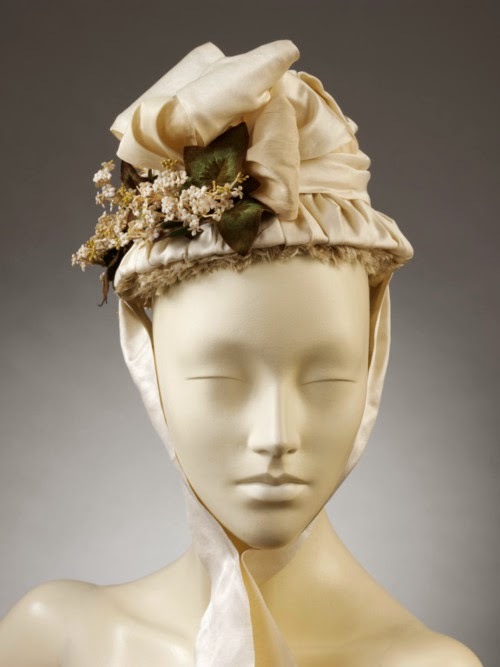 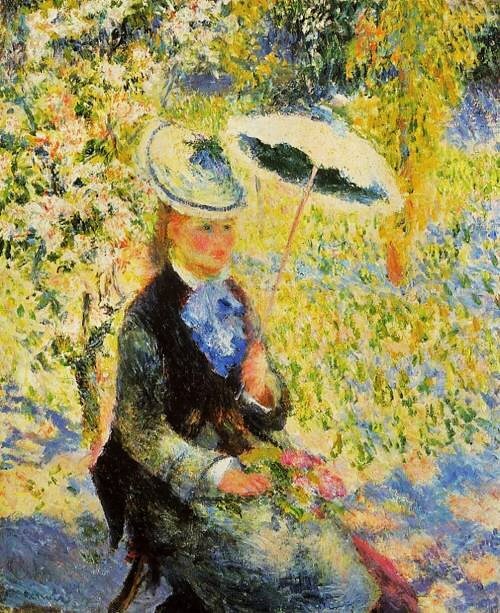 A bonnet is a hat worn close the the head and tilted back, often providing very little sun protection. 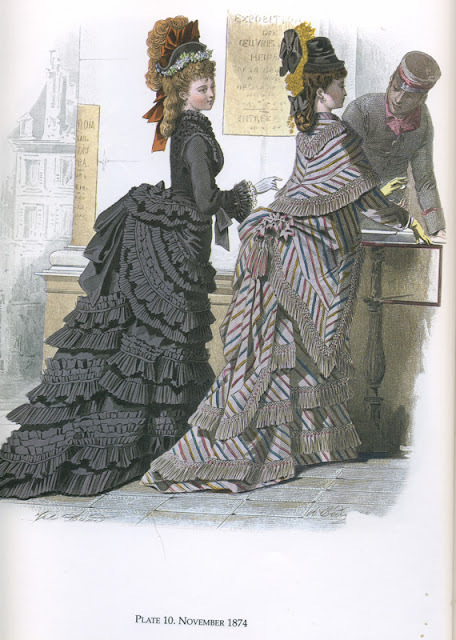 Hair styles evolved to compensate, so the 1850s saw hair divided in the middle with lots of curls around the face and tight buns to the back for daytime. 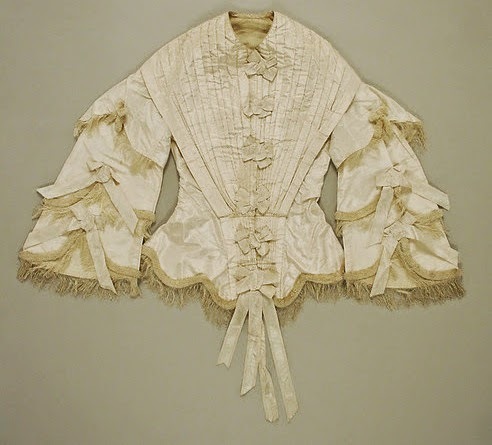 These sleeves are narrow at the top and very wide at the bottom. 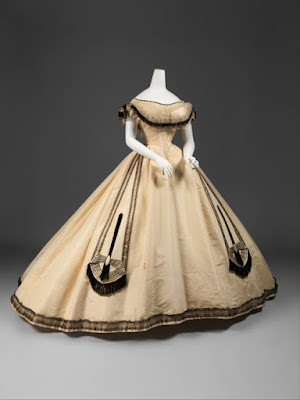 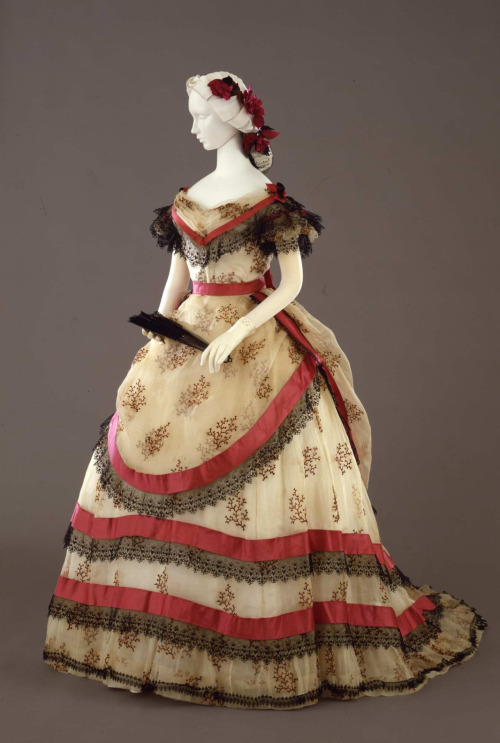 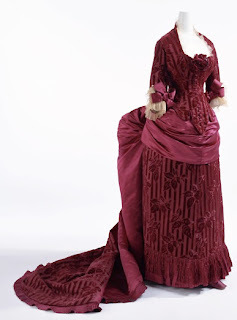 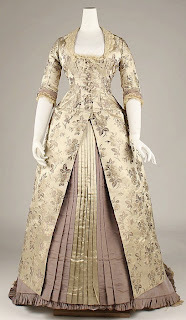 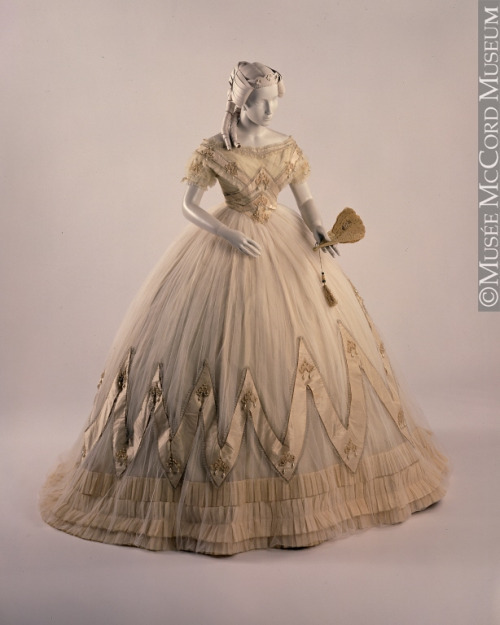 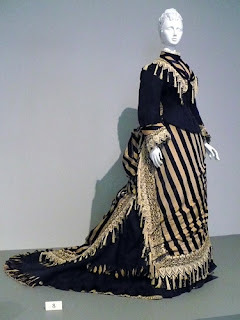 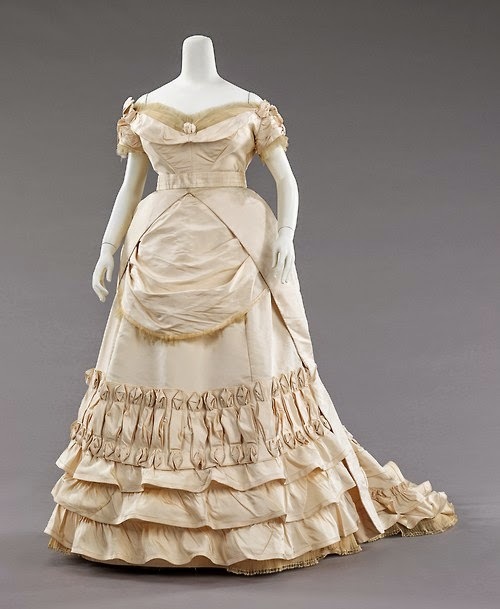 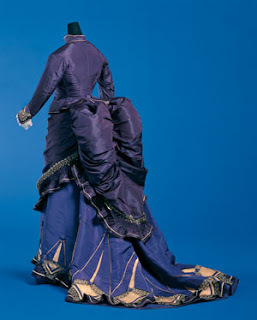 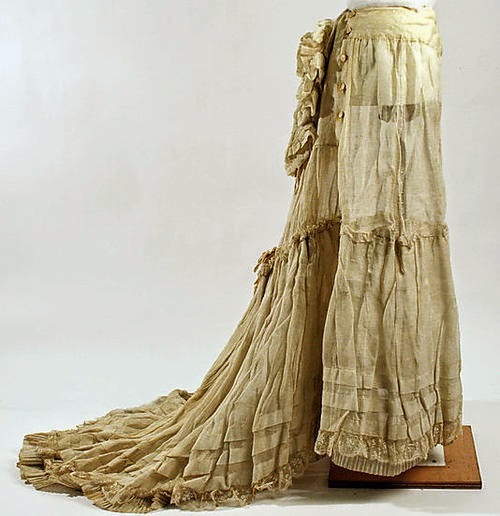 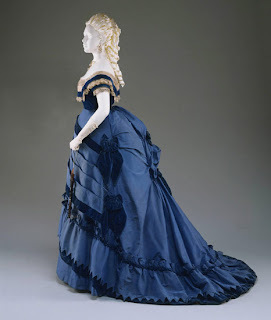 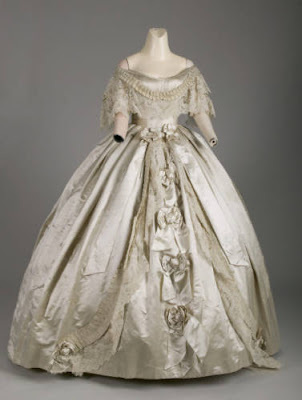 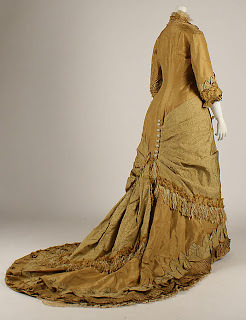 In the 1850s they mirror the silhouette of the rest of the dress and were hugely popular. 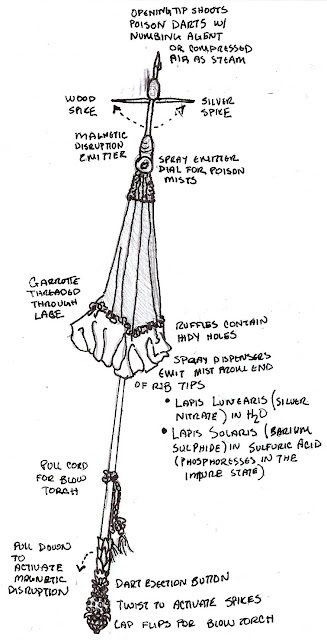 Geraldine’s girls love them for hiding all their wrist tools. 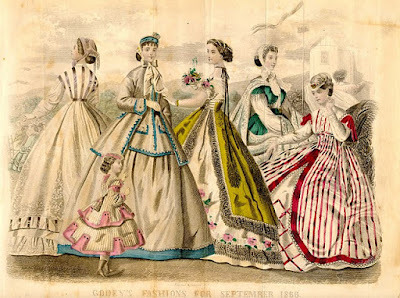 They were popular for day and walking dresses. 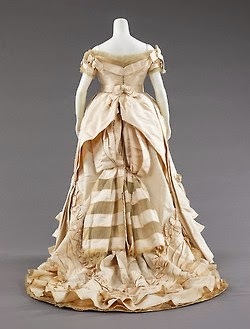 They rarely appear on dinner gowns, however, because they would drag through the food! 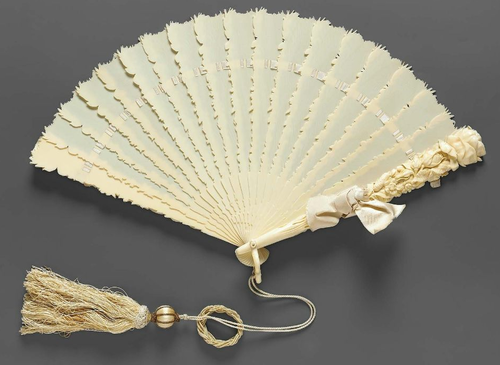 Reminisce: What Are Hair Receivers? 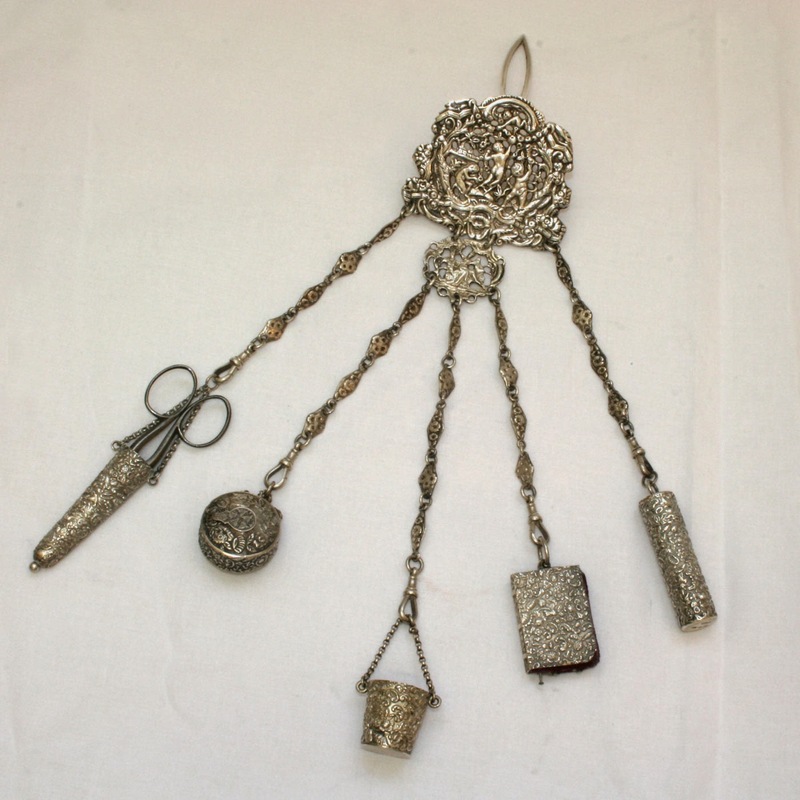 Hair receivers were used to collect all the hair that came off of one’s hairbrush each day. 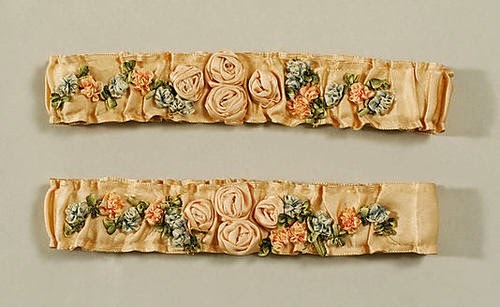 After sufficient hair was collected, one would take it in to a hair weaver who would make the hair into a fall or pad or clip curls to easily augment ones up-dos. 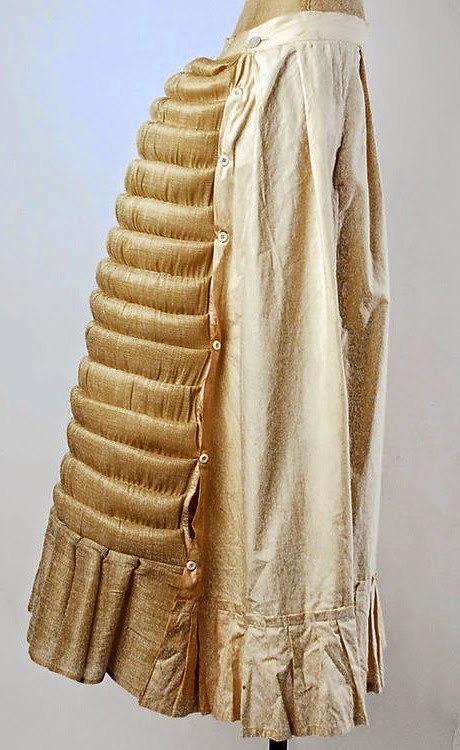 I know, I know, weird yet strangely logical. 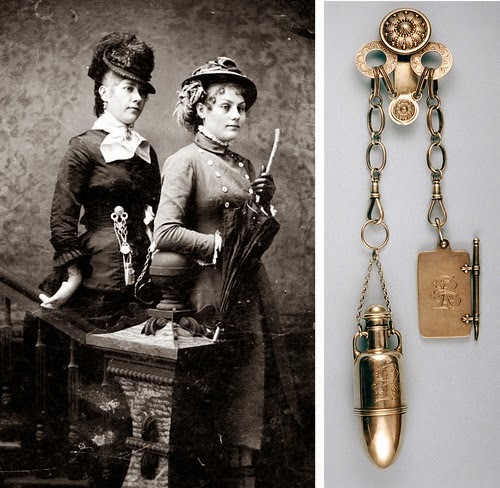 Here’s a great article all about Hair Receivers. 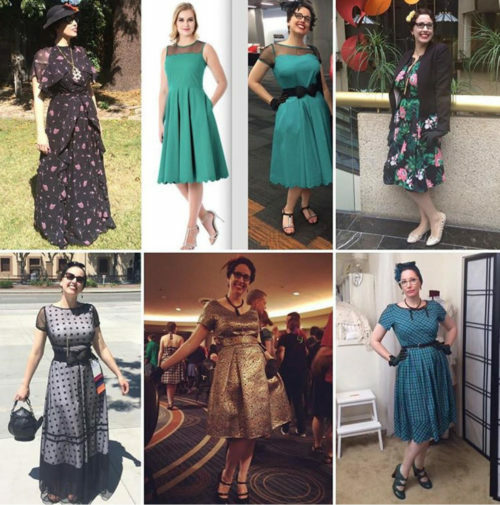 Seven different outfits of clothes for an ordinary day.